On Saturday I ventured over to Port Weller, one of my favorite naturalizing locations in the Niagara Region. Port Weller is of course an excellent birding hotspot, largely due to its geography. As a long, vegetated pier with several ponds that juts into Lake Ontario, it attracts migrants that are moving along the lakeshore or across the lake. 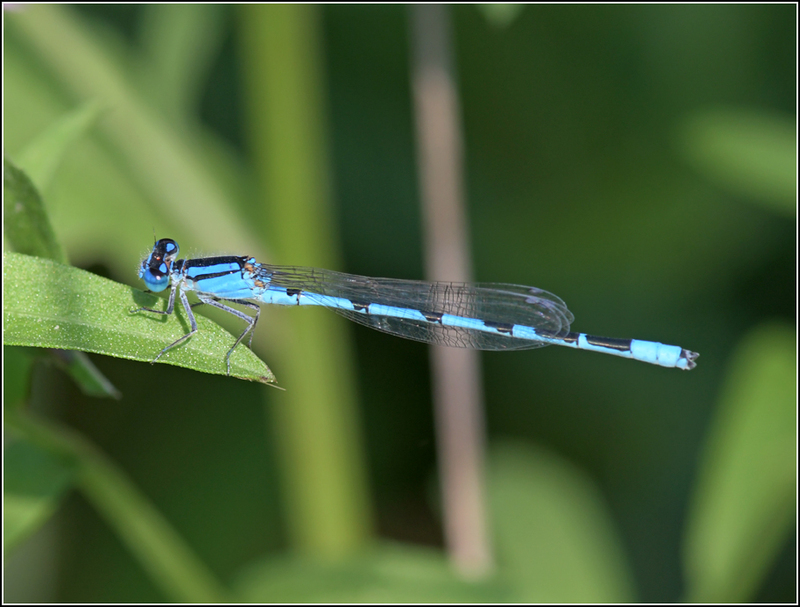 But Port Weller is home to much more than just birds, and I thought I would highlight some of these species in this post, since I ended up photographing a variety of them during my visit on Saturday. A few birds may sneak in as well, though! My day started off extraordinarily well. 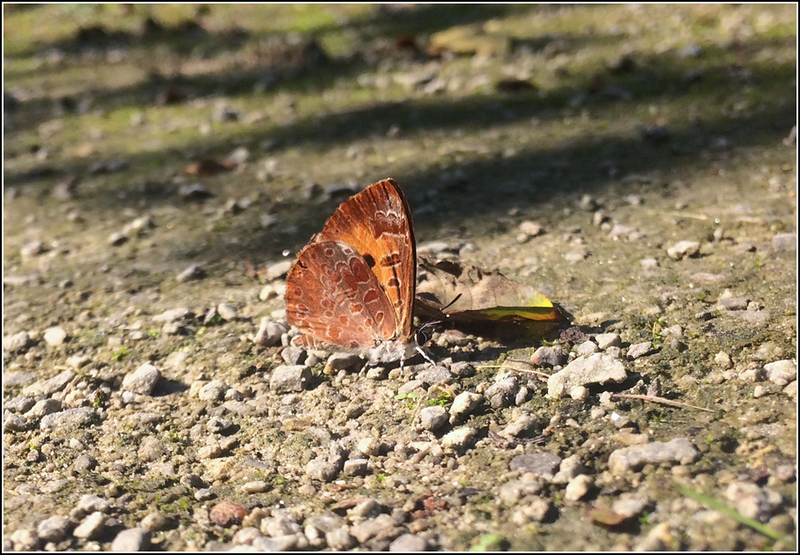 The first butterfly of the day I observed was a small, orange one that alighted with its wings closed on the path near the Jones Beach parking lot. A look through the binoculars confirmed my suspicion - it was a Harvester! Harvester is unique in that it is the only carnivorous butterfly we have in Ontario. 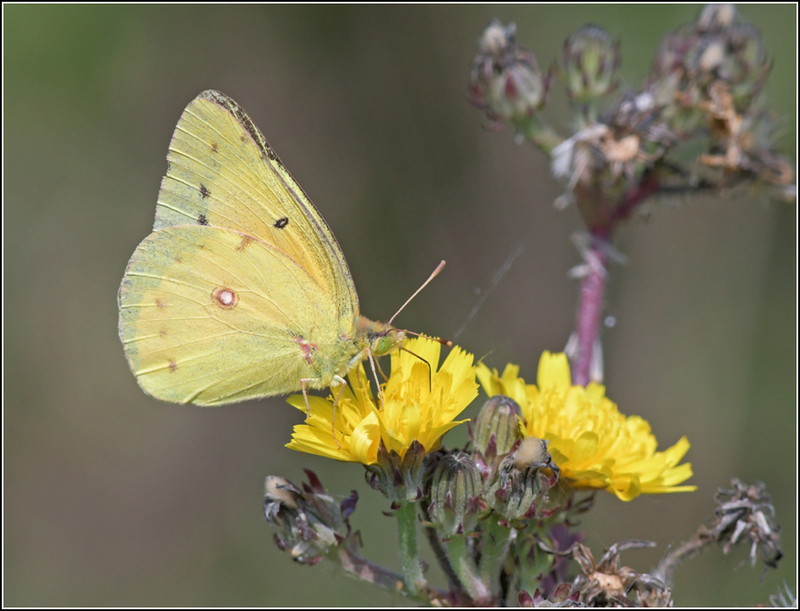 While most caterpillars target various species of vegetation, Harvester caterpillars dine on aphids. The species can be quite local and difficult to find, usually found in close association with Speckled Alder. I had only seen one Harvester before in my life despite spending a lot of time out butterflying - an individual in Rainy River in 2012. 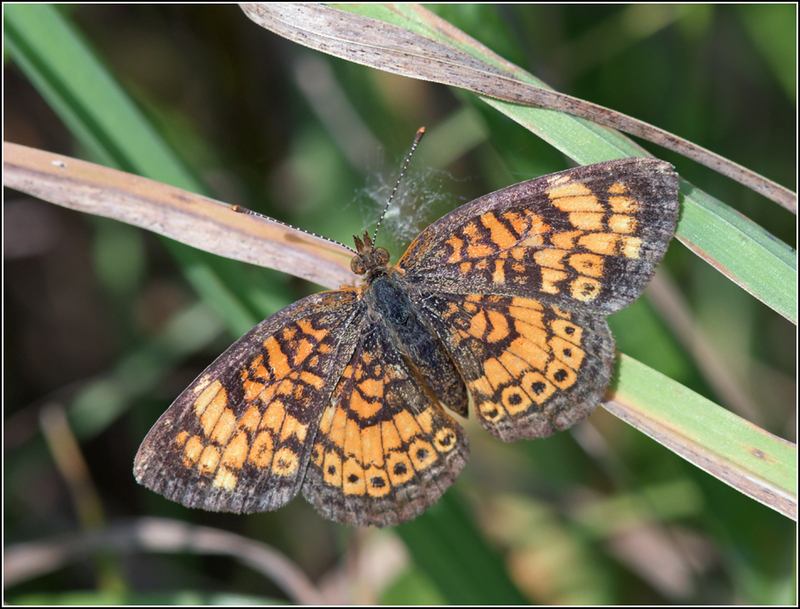 Looking at the Ontario Butterfly Atlas I see no records for the Port Weller area, and the last record for the Niagara Region was in 1949! 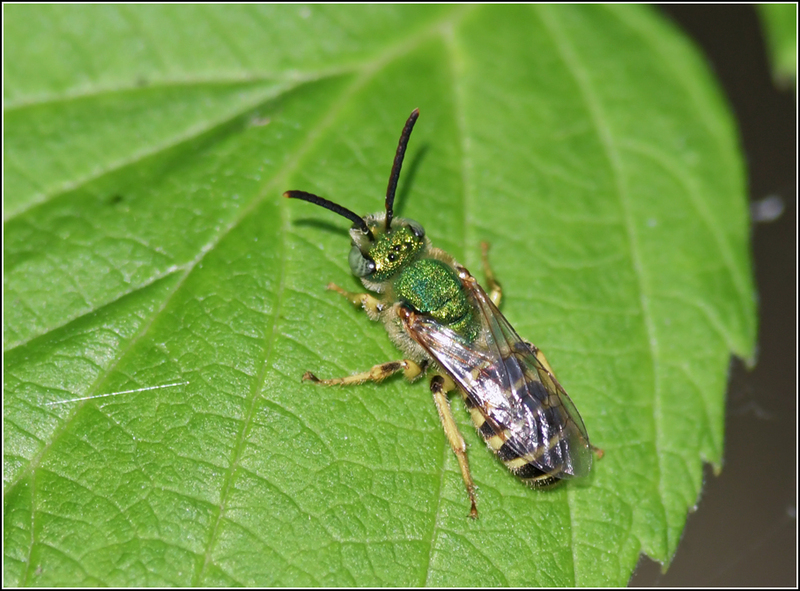 On iNaturalist there is a recent record for Niagara - one was photographed in Pelham on June 8, 2018. My camera was in the car but fortunately the Harvester was approachable, letting me photograph it with my phone from six inches away. When I returned five minutes later with my camera, it was gone. 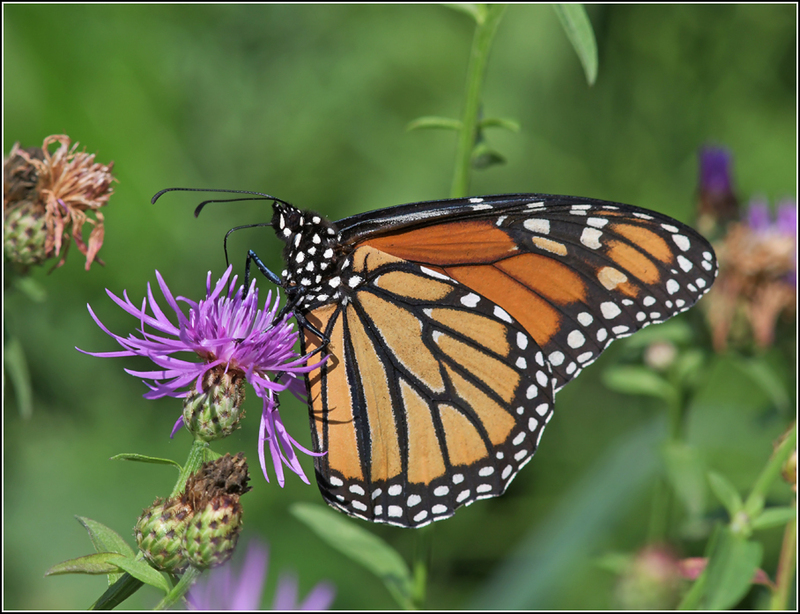 During my last few trips to the pier one of the most conspicuous species has been the Monarch, a species at risk butterfly that has seen fluctuations in its population over the last few years, at least in southern Ontario. 2018 appears to be an excellent Monarch year. 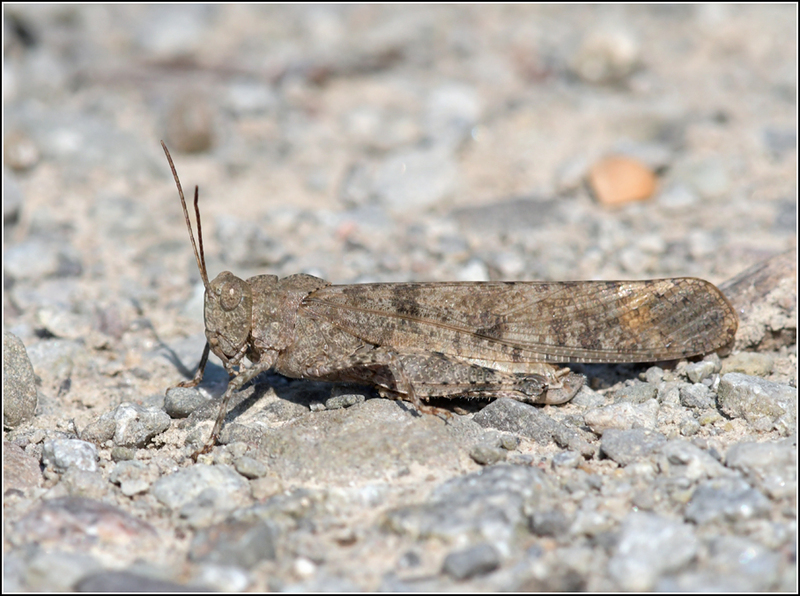 Adults have been widely reported in large numbers across southern Ontario; indeed I have come across many more than usual during my field surveys, especially in the last two months. 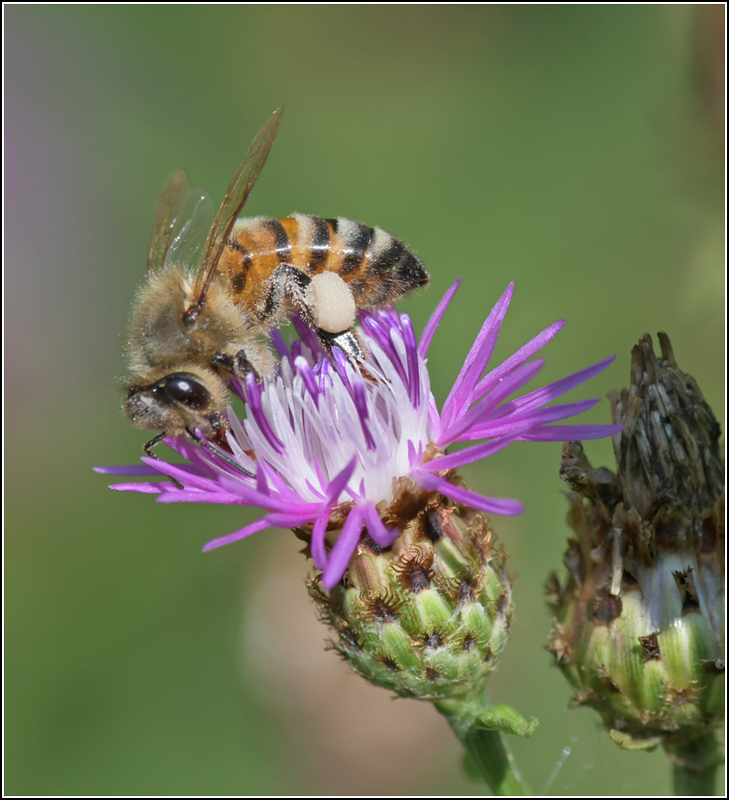 Brown Knapweed, an invasive species that is abundant up and down the pier, is a favored nectaring plant for adult Monarchs. At least forty Monarchs were present on Saturday - many of these likely migrants that are on their way south. 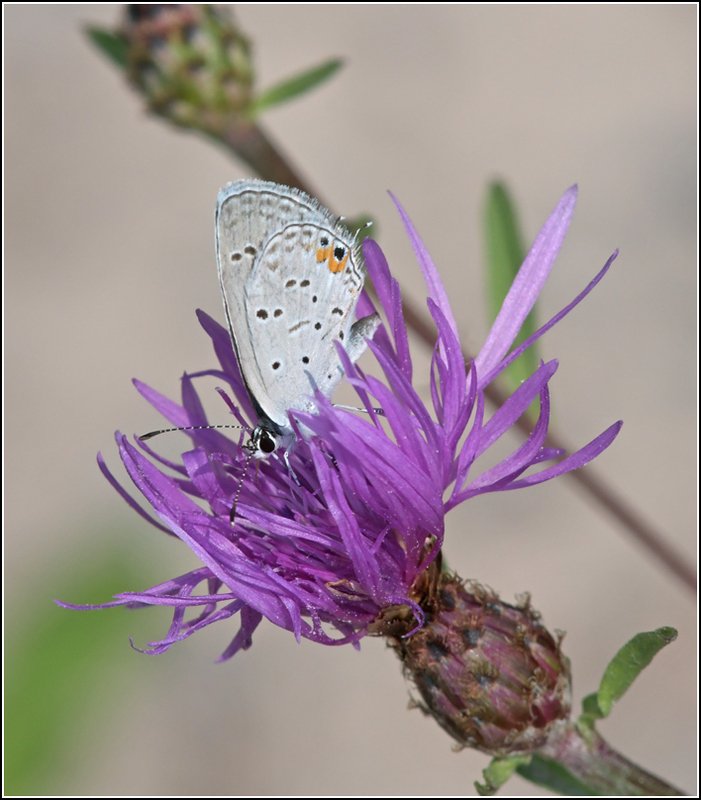 Of course Monarchs were not the only species of butterfly nectaring on the knapweed; Cabbage Whites were also frequently seen as well. 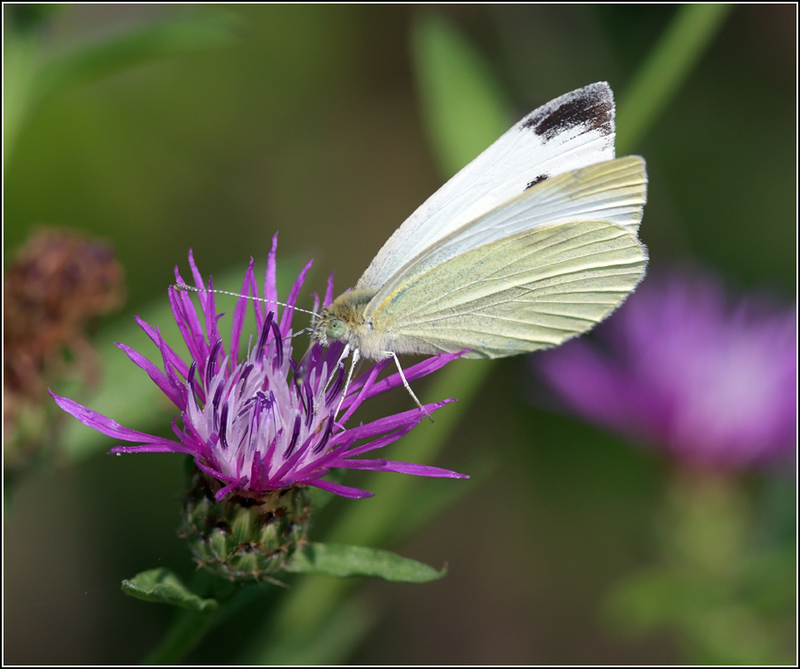 Unlike Monarch, Cabbage White is an invasive species, and one of the most familiar butterflies in southern Ontario, especially in weedy areas. Port Weller is not the most "pristine" location to explore in Ontario. Built with fill that was produced during the excavation of the Welland Canal, most of the vegetation on the pier consists of hardy, weedy species that are commonly the first ones to populate a disturbed area. 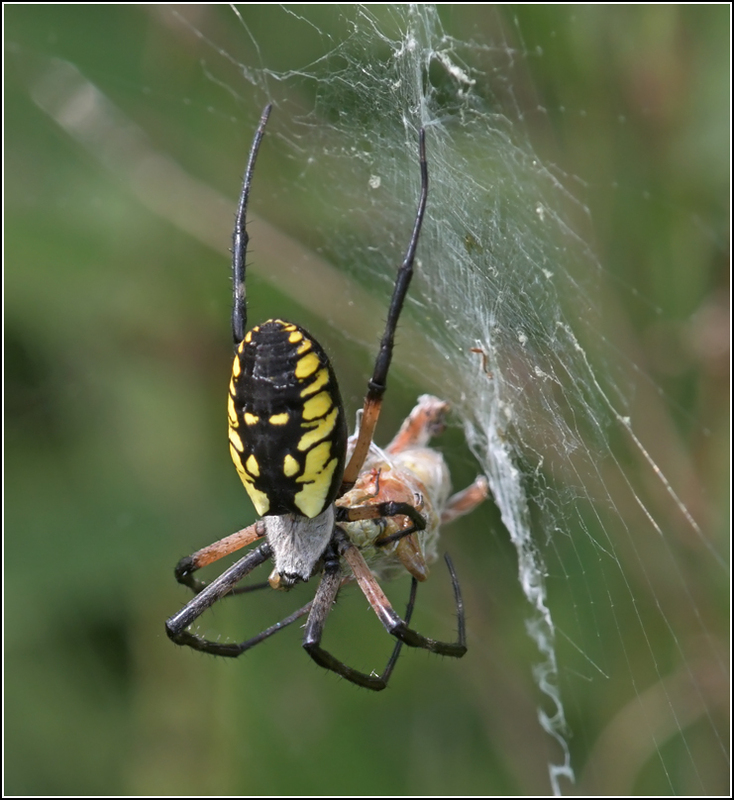 As a result, the various insects found here are also generally common species that are widespread in southern Ontario. Thousands of Red-legged Grasshoppers populate the pier at the moment, and each step taken through the grasses and knapweed will send dozens scattering. 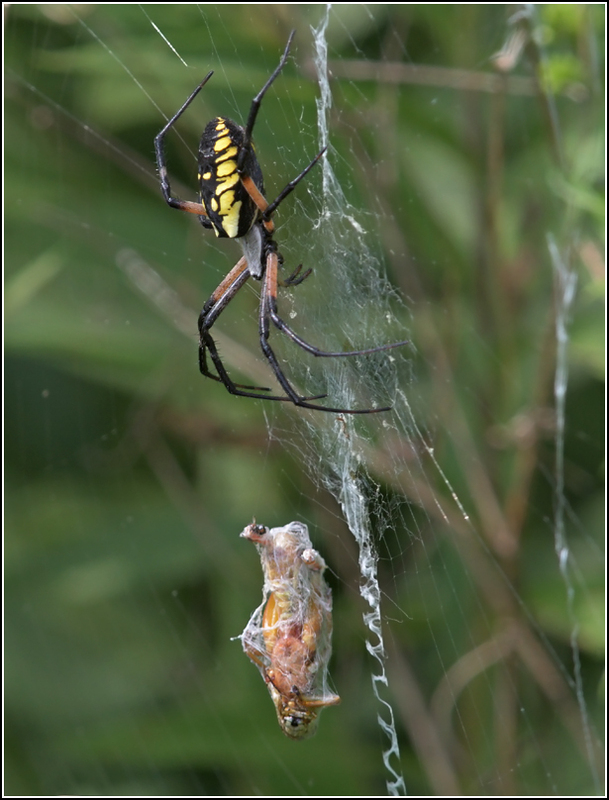 This Yellow Garden Spider had snagged one of them in its web. 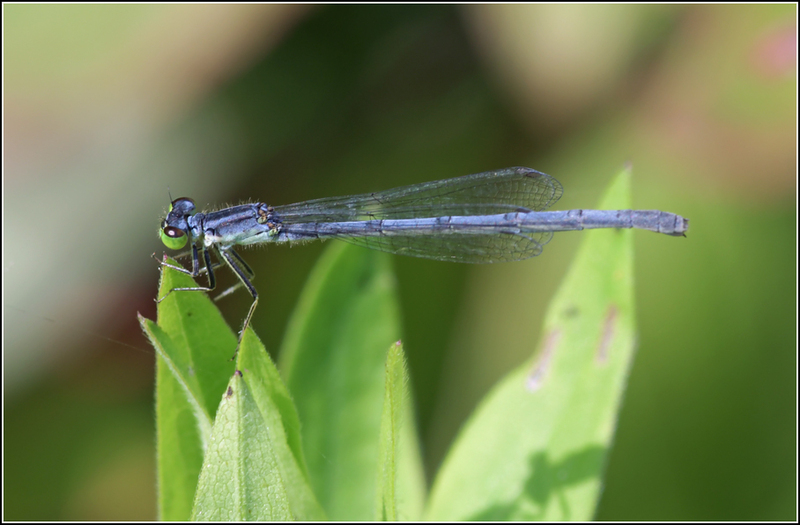 Dragonflies are often in short supply on Port Weller and the species that breed here are also widespread, species that can survive in disturbed areas. Bluets are abundant on the pier and I believe they are all Familiar Bluet, though I still struggle with bluet identification. 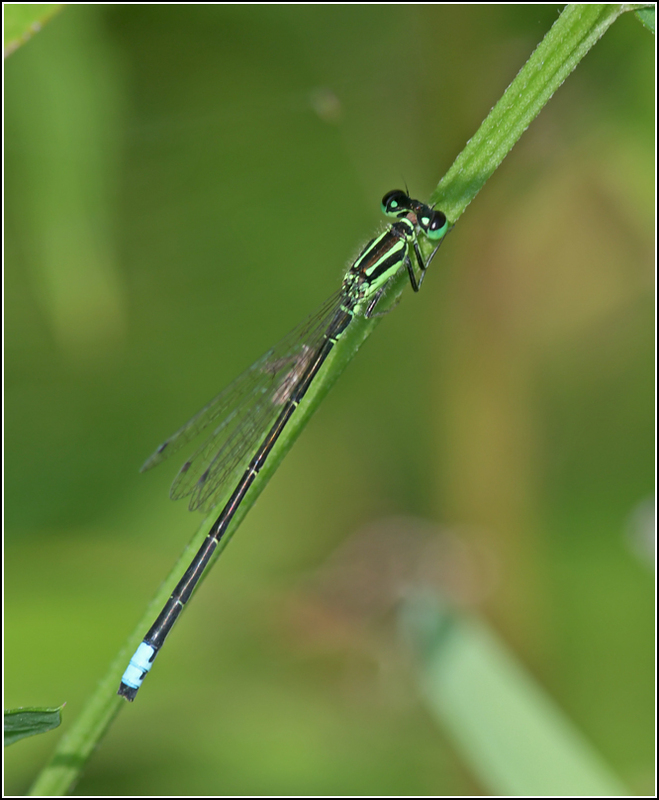 Eastern Forktail is the other damselfly species I commonly observe, especially around the "Big Pond". 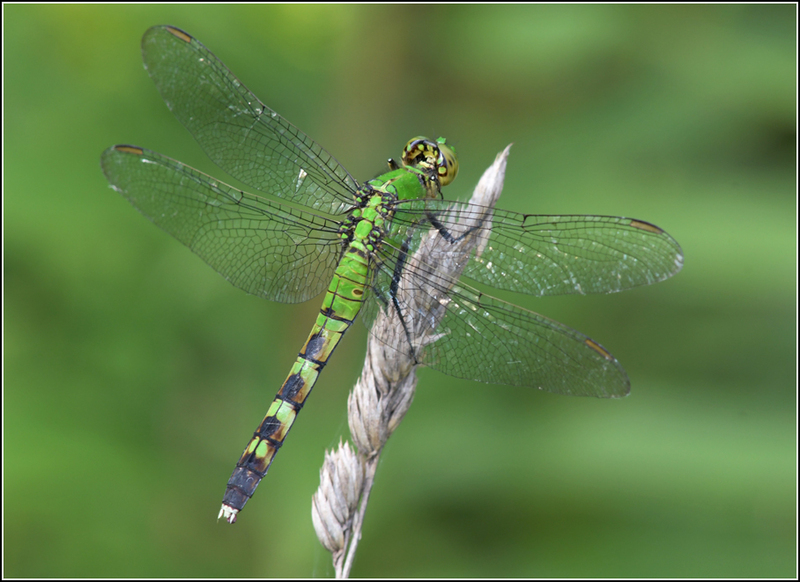 I was happy to find a few cooperative Eastern Pondhawks around the "Small Pond". 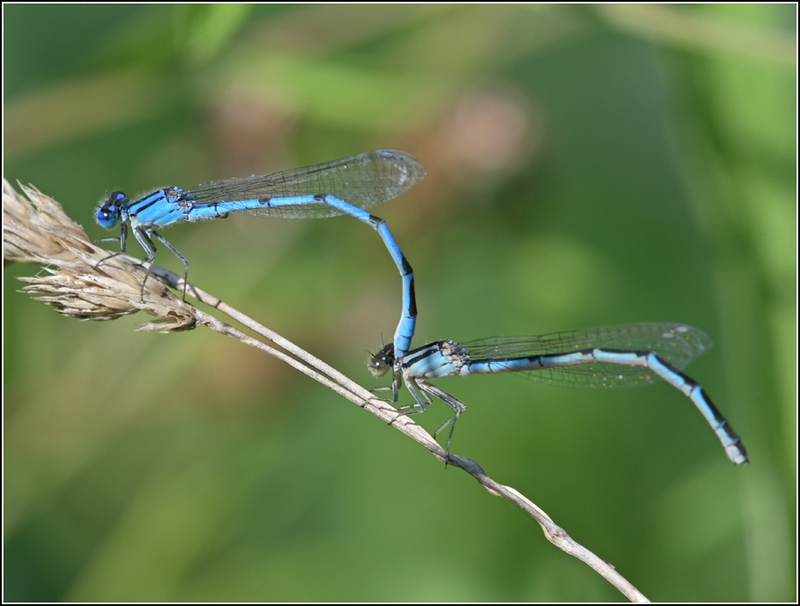 This well-named species is frequently found around still water and can be a terror to the other odonates in the area, voraciously feeding on dragonflies even the same size as them. 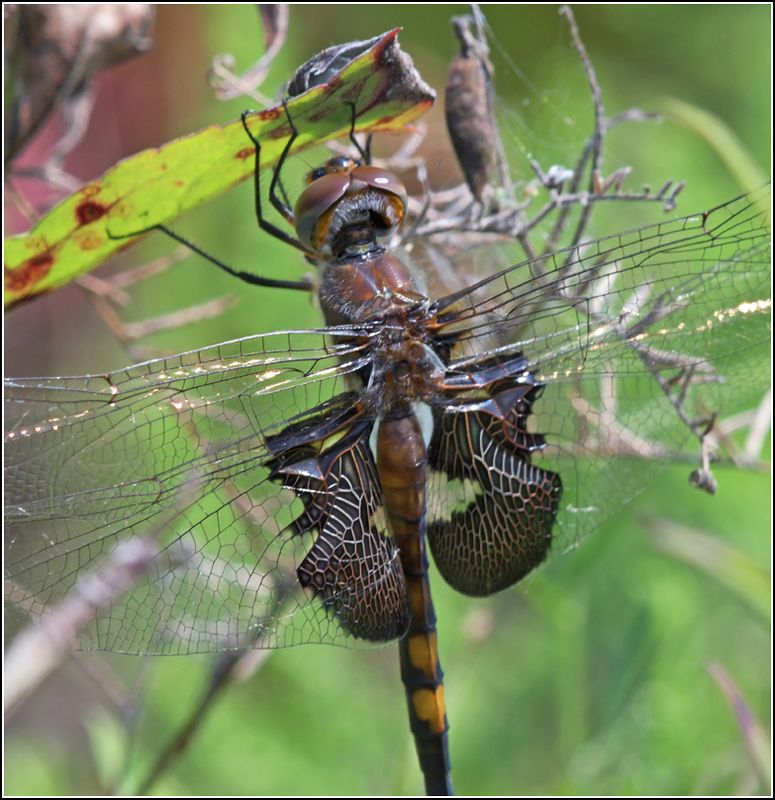 Black Saddlebags are often the most conspicuous dragonflies at Port Weller. They often gather here in large numbers during the summer as individuals migrate up from the south. 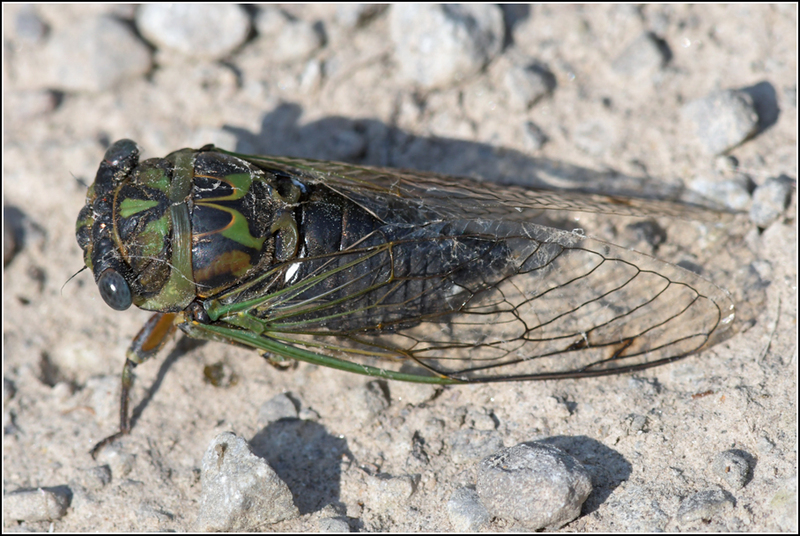 Sitting right in the middle of the crushed gravel central trail was this cicada, one of the species in the genus Neotibicen. 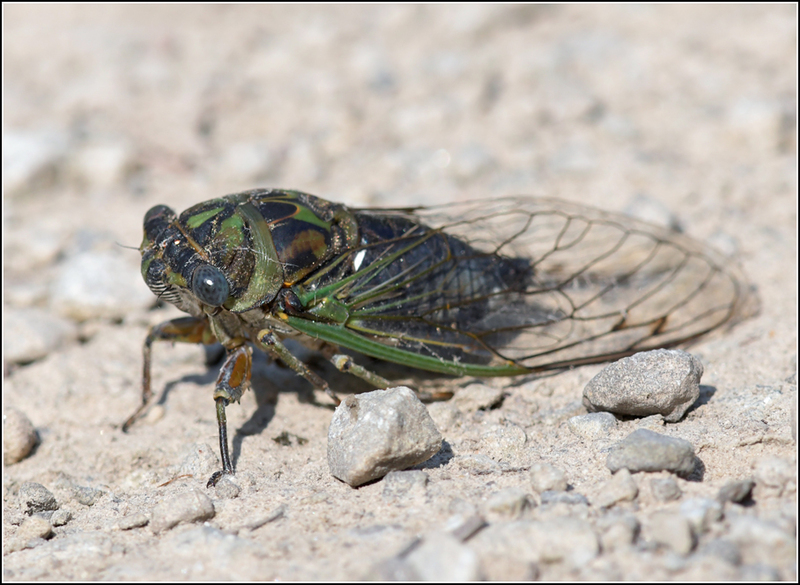 It is most likely Northern Dog-Day Cicada (Neotibicen canicularis) but I'm quickly realizing that cicada identification is difficult. 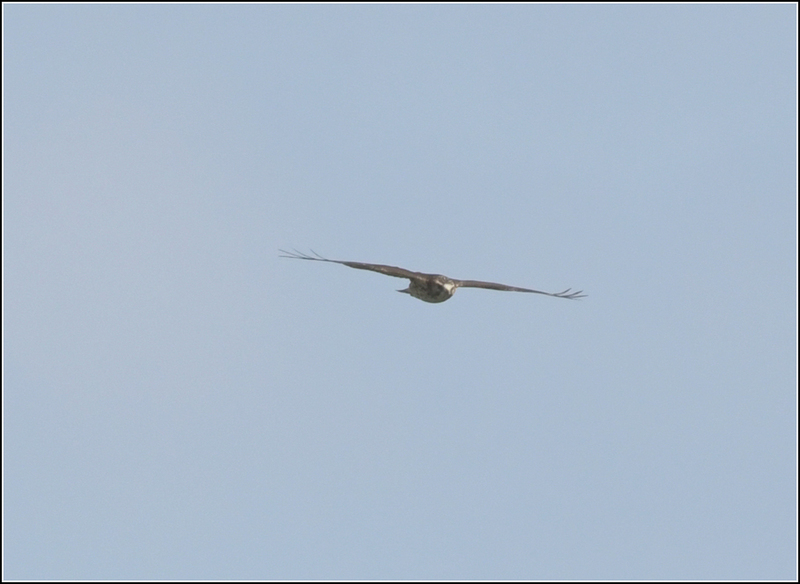 Not long after finding the cicada a raptor circled over the trees up the path, then quickly disappeared. A minute later it made a reappearance, giving me enough of a look to identify it as a Broad-winged Hawk until it slipped behind some trees and out of sight. Late August means the beginning of Broad-winged Hawk migration and during the peak days in early September, tens of thousands may pass by single locations on the north shore of Lakes Erie and Ontario. Niagara does not see too much raptor migration in the autumn due, again, to its geography. This was the first Broad-winged I had ever seen in the autumn in Niagara, and only the second time I had observed one on Port Weller. Please excuse my terrible photo below! 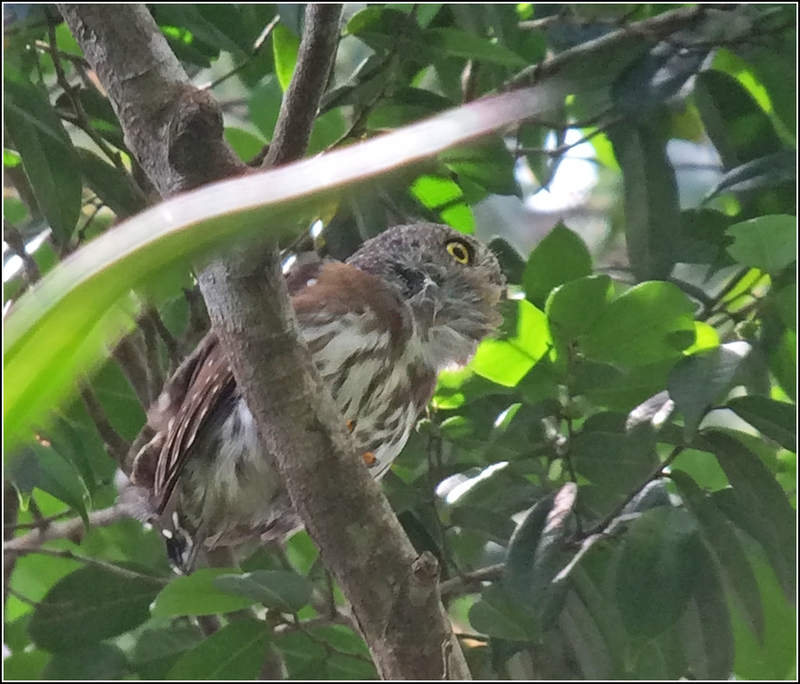 The Broad-winged was not the only avian surprise on the day. Perched along the edge of the Big Pond were two Green Herons, intent on watching for minnows in the water below. This may be a little ho hum for most birders, but it is actually a pretty decent Port Weller bird. For some reason I had never seen one on the pier before; my only sighting for the area was a flyby at the base of the pier back in May of this year. The above caveat about terrible record photos apply here too. 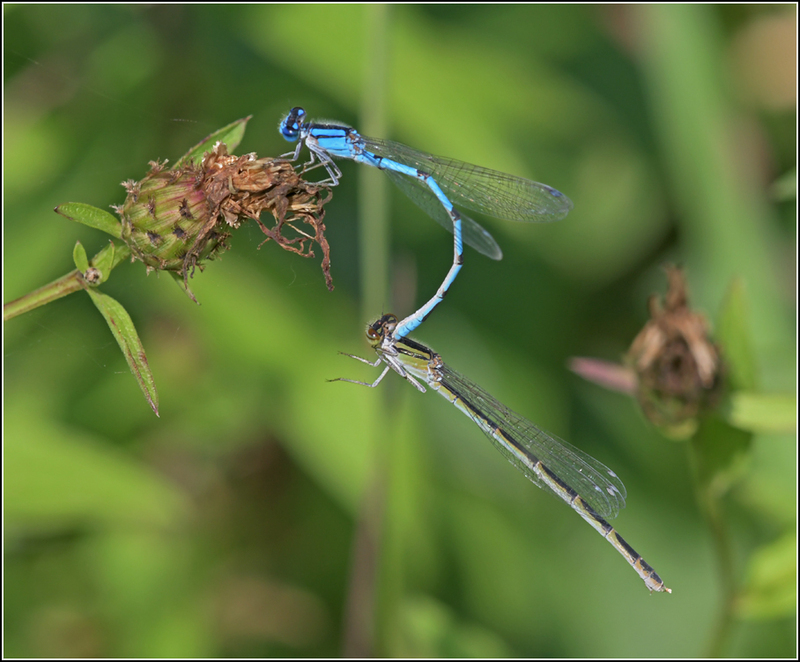 The butterfly diversity increased once I passed the Big Pond and approached the Small Pond. 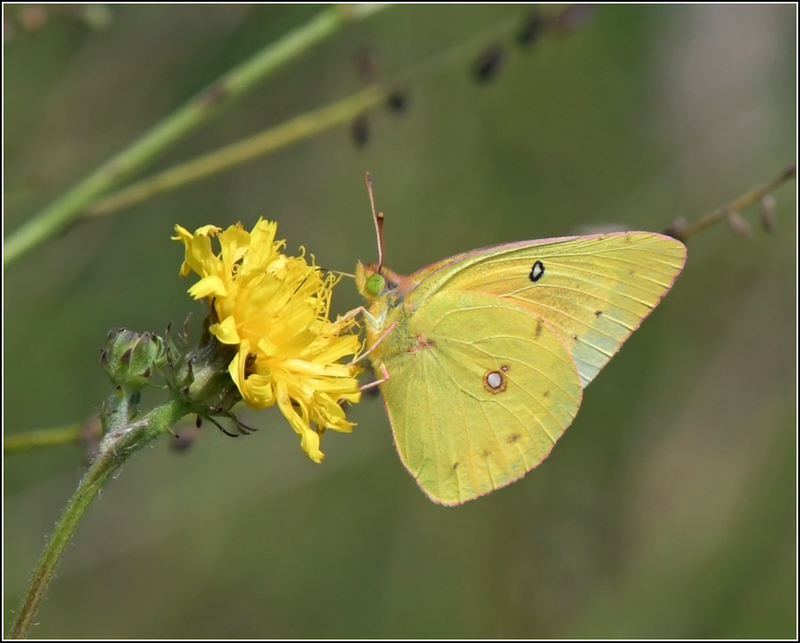 I was pleased to see several Orange Sulphurs along with some Common Sulphurs. 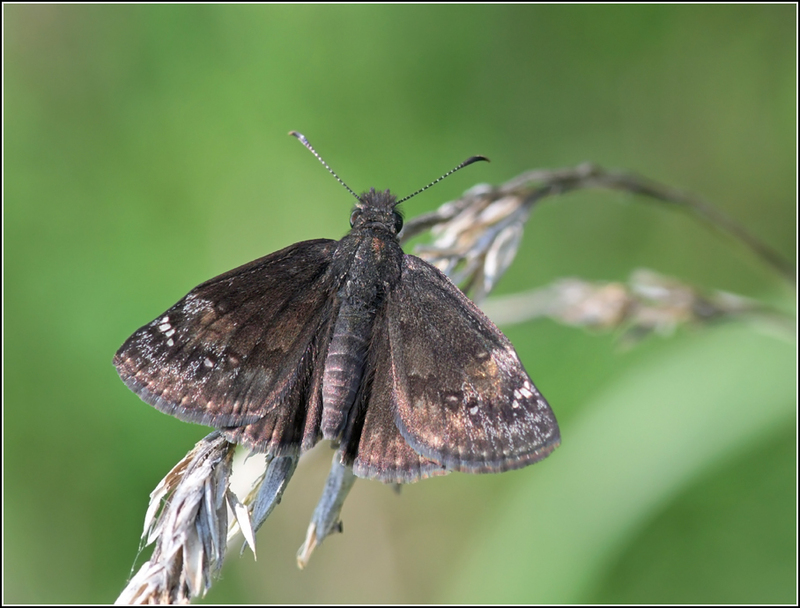 Wild Indigo Duskywing is a species of skipper that used to be quite rare and local in southern Ontario, a reflection of its foodplants which included Wide Indigos (Baptisia) and Lupines (Lupinus). 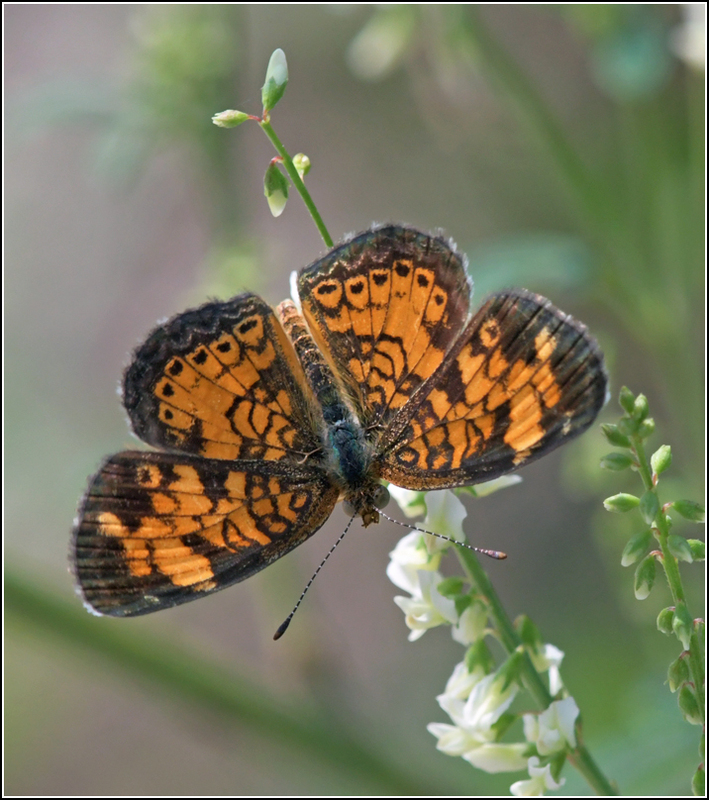 In the last few decades, Wild Indigo Duskywing has added Purple Crown Vetch (Coronilla varia) to its diet, enabling it to expand its range in the east. Purple Crown Vetch has been planted in several spots at Port Weller, especially on the east side of the pier near the Small Pond. 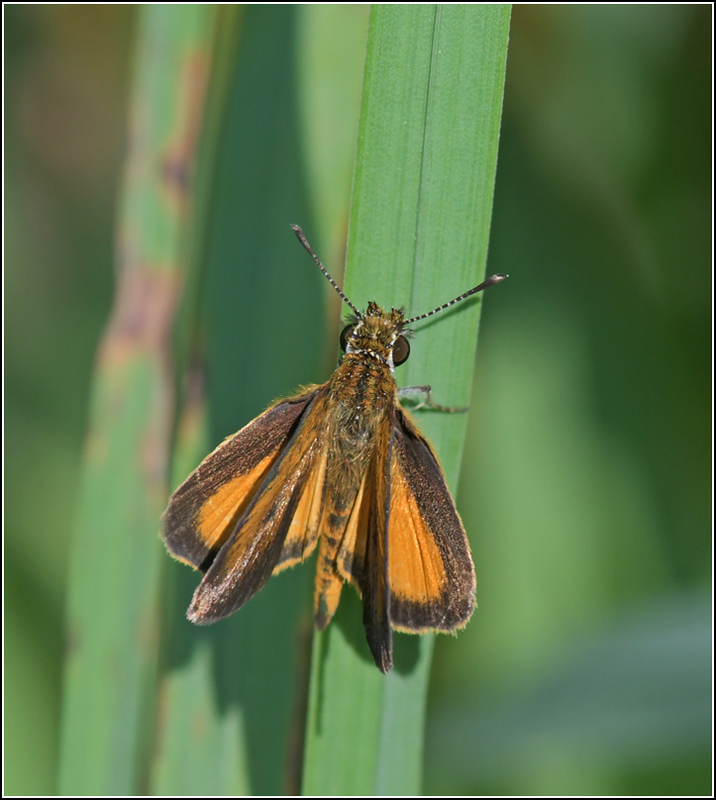 As a result the small dark skippers are easy to find. 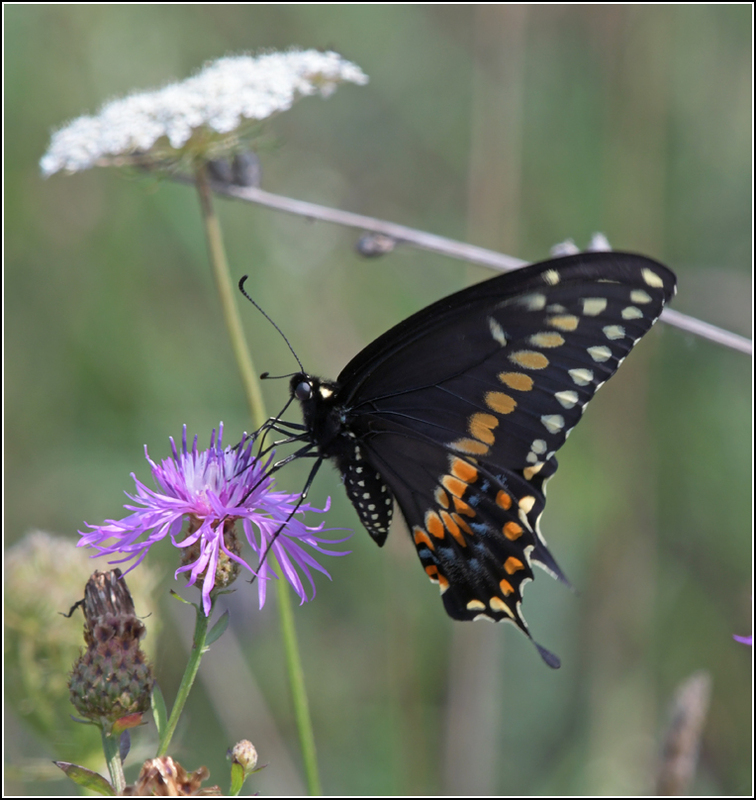 Below are four other species of butterflies that also find habitat at Port Weller and which can be found during most visits in late summer. I'm still trying to figure the crescents out; so far I've only confidently identified Pearl Crescent. Reaching the end of the pier, I stopped to scan the lake off of the lighthouse. 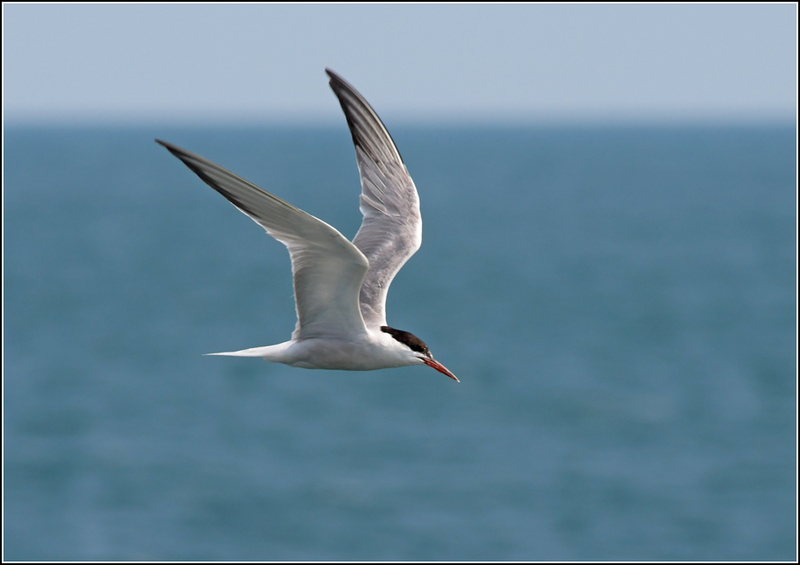 Gulls and terns were in short supply, though a single Common Tern hunted just offshore. Peaking over the edge towards the rocks at the water's edge, a trio of shorebirds appeared. 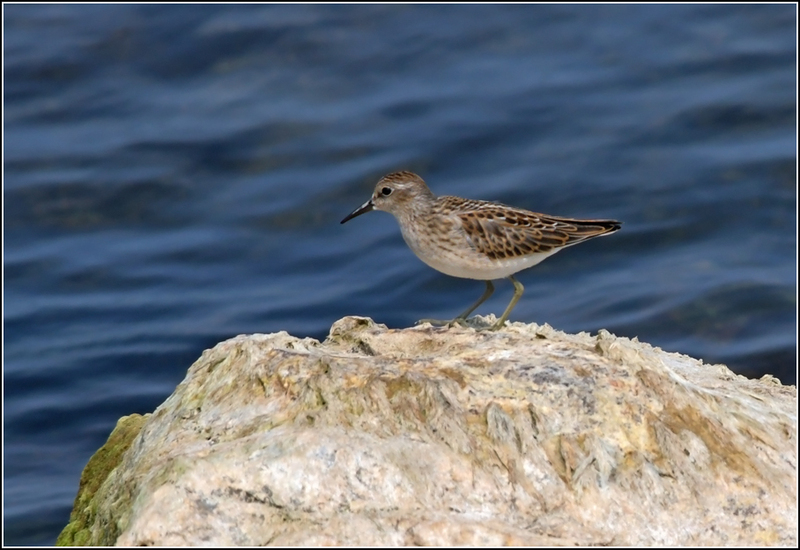 One was a Spotted Sandpiper (they breed on the pier) but the other two were migrants from the Arctic - one each of Least and Semipalmated Sandpiper. 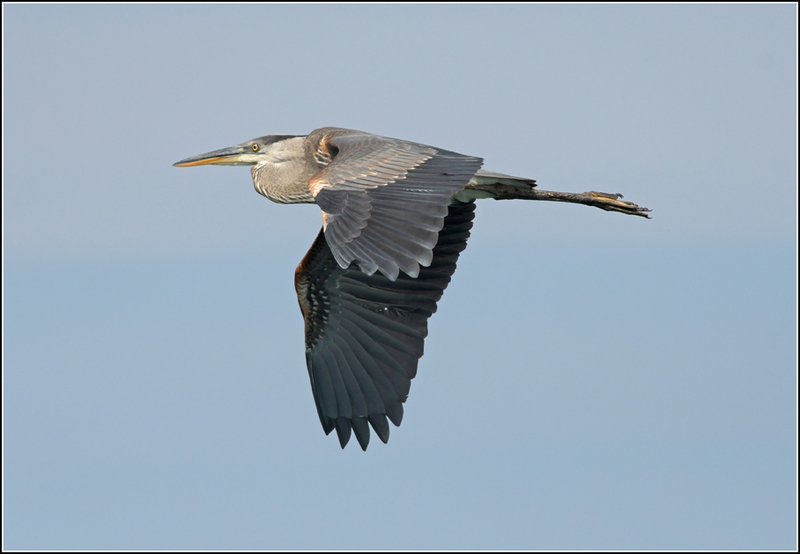 Great Blue Heron is a species that I rarely observe at Port Weller for some reason. 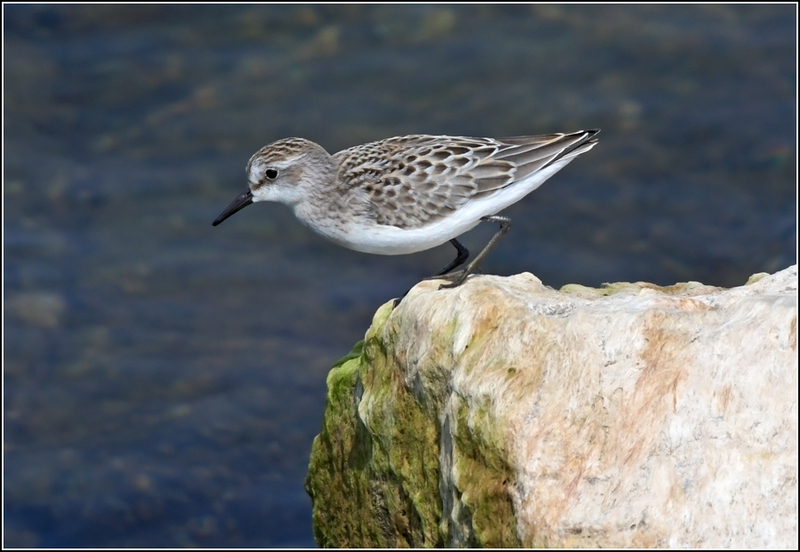 Yet while I was photographing the above shorebirds, one came in off the lake and landed not far from where I was crouched along the shoreline. This was only my 4th sighting in 77 visits to the pier (according to eBird). 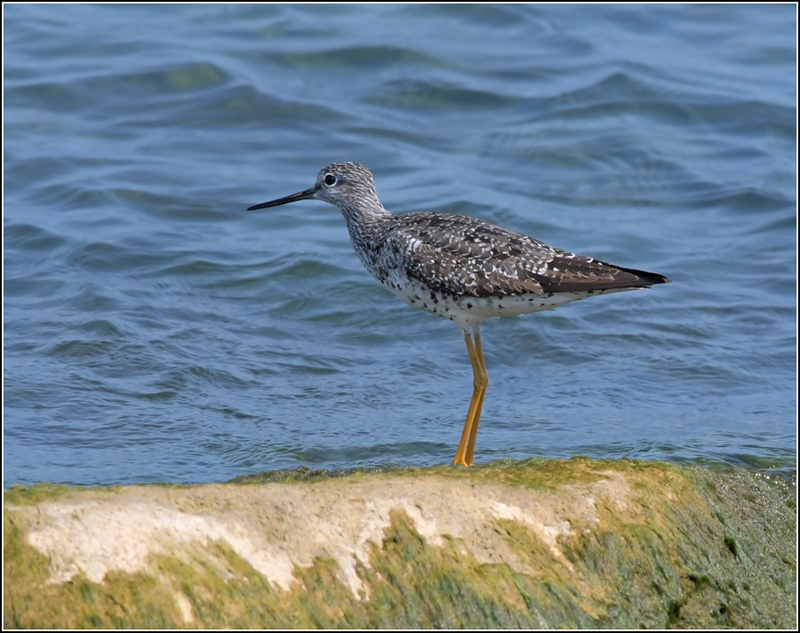 A little further down the shoreline stood another shorebird - this time a Greater Yellowlegs. My only two previous sightings of this species at Port Weller included one on the Big Pond on September 14, 2016 (water levels were much lower that year), and a flock of eight that flew over this spring on May 2, 2018. But the highlight of the day was yet to come. I quickly scanned the gulls and terns on the concrete pad near the mouth of the Welland Canal, then turned and began walking south. 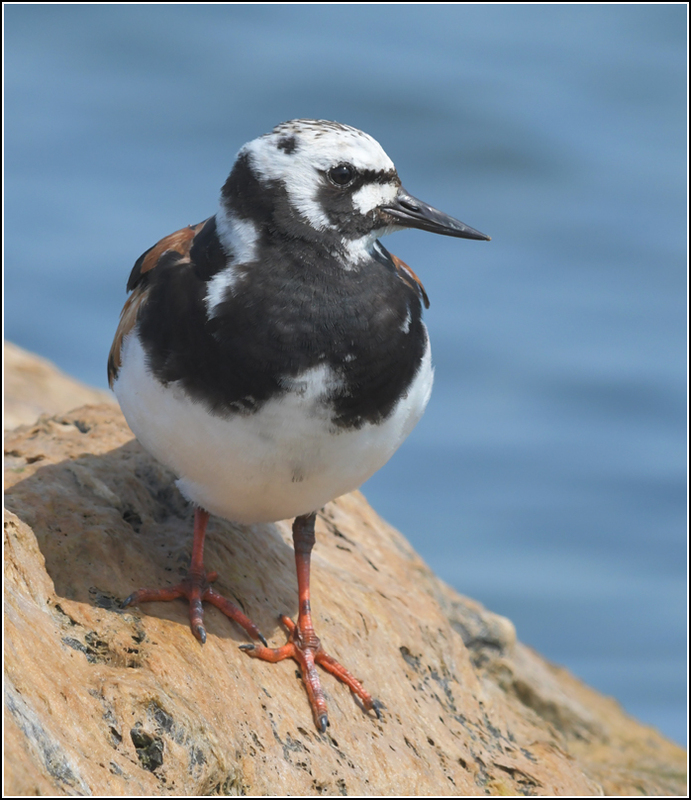 Looking to my left, a strikingly-patterned orange, black and white shorebird stood partially hidden on one of the rocks lining the pier. I went into stealth mode and took my time slowly approaching the shorebird, in hopes of not flushing it. 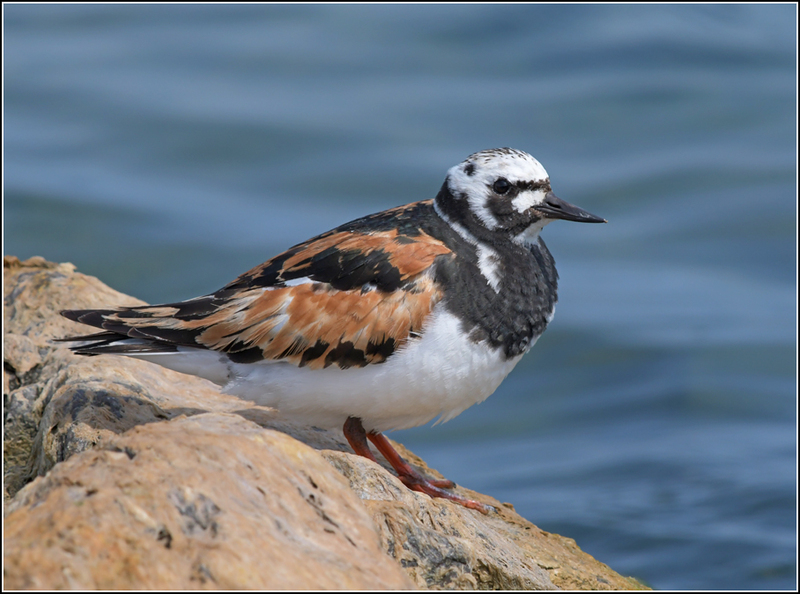 Fortunately the Ruddy Turnstone was tolerant of my presence and before long I had nestled myself in the rocks with the sun at my back and the bird ten feet in front of me. 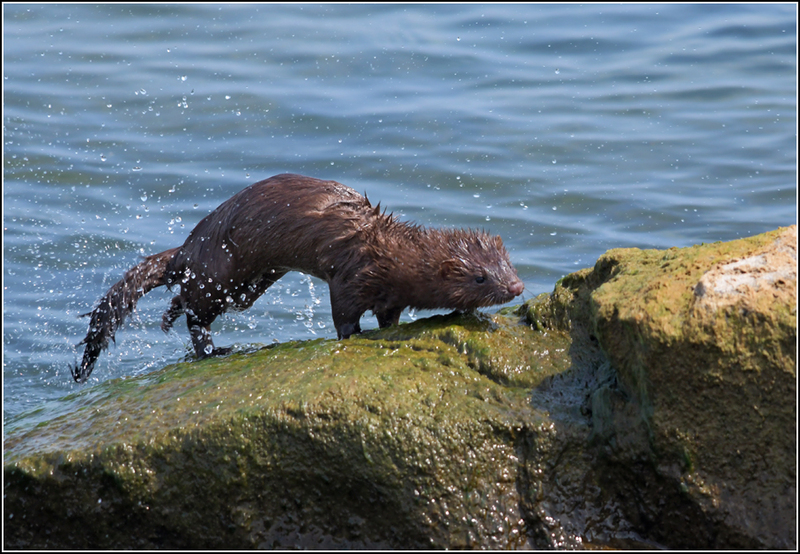 A splash in the water brought my attention to an American Mink that swam to a nearby rock and exited the water. It could sense something was off and sniffed the air in my direction but eventually carried on with its day. A minute later a little brown face appeared from a crevice between two rocks, only a meter or two from where I was sitting. I remained perfectly still while the mink sniffed the air in my direction, trying to figure out what I was. No photos of that unfortunately - it was much too close and I was afraid of flushing it by moving my camera. 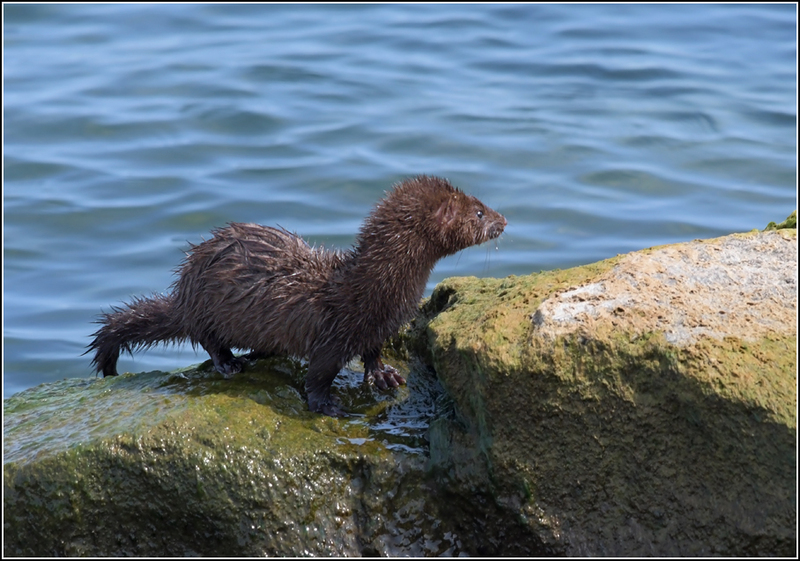 American Minks patrol the shoreline of Port Weller. I encounter them on perhaps 20% of my visits to the pier. 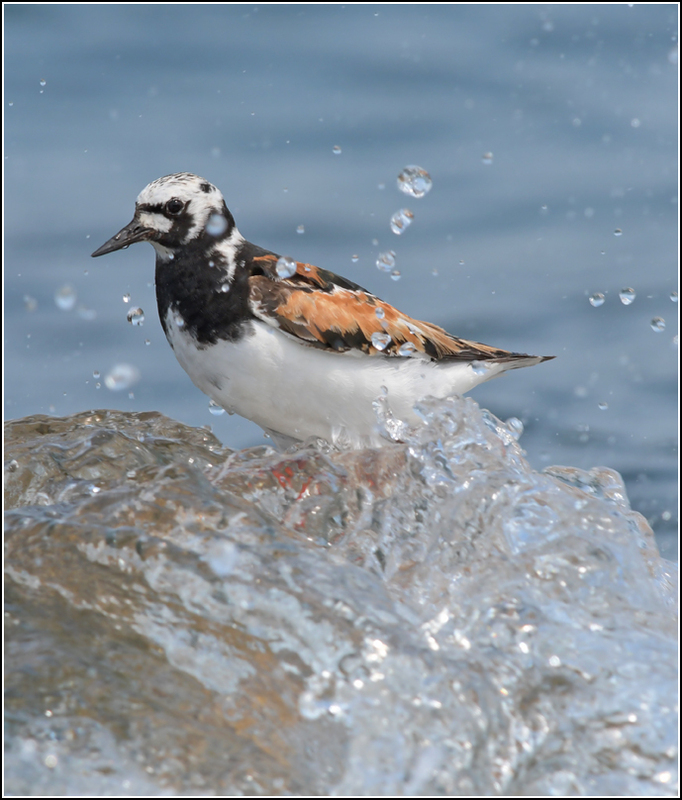 Back to the turnstone - Ruddy Turnstone is another species of Arctic-nesting shorebird that passes through southern Ontario during its migration. This species is more strongly tied to coastlines than many of the others, and they are rarely seen away from the shorelines of the Great Lakes in southern Ontario. Ruddy Turnstone was long-overdue for my Port Weller east pier list and I was happy to add it as species #208. 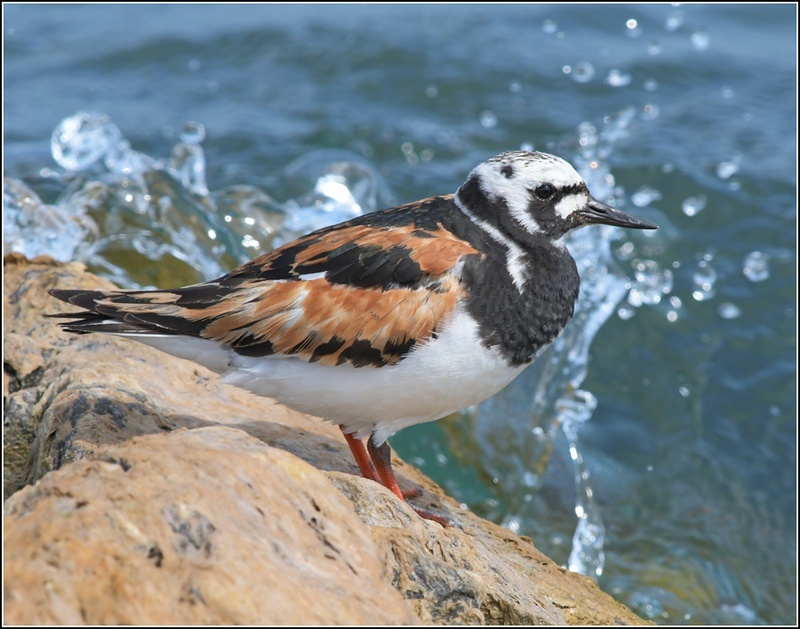 A distant pleasure craft passing caused a series of waves to pass over the rock that the turnstone had picked, yet he remained balanced during the affair. 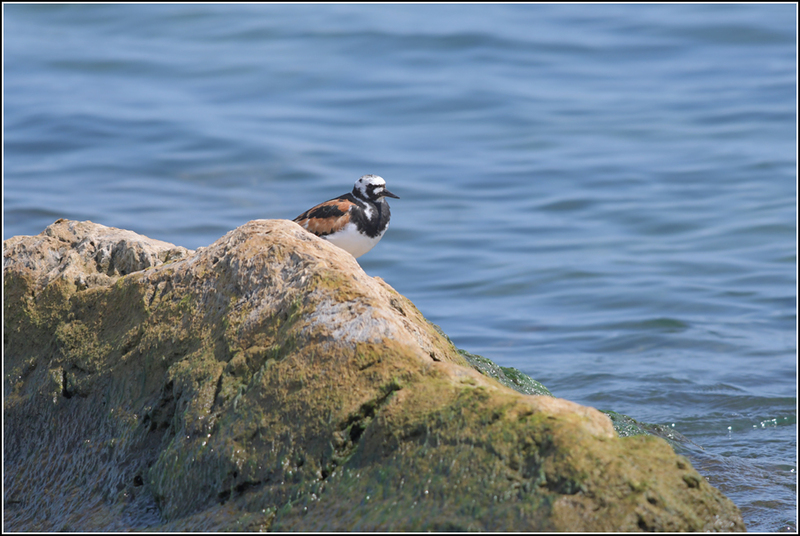 Aptly named, turnstones use their broad, flat bills to pry up rocks and search for invertebrate morsels found underneath. Once I had maxed out my photographic possibilities with the turnstone I slowly retreated, taking care not to flush it on my return to the path. 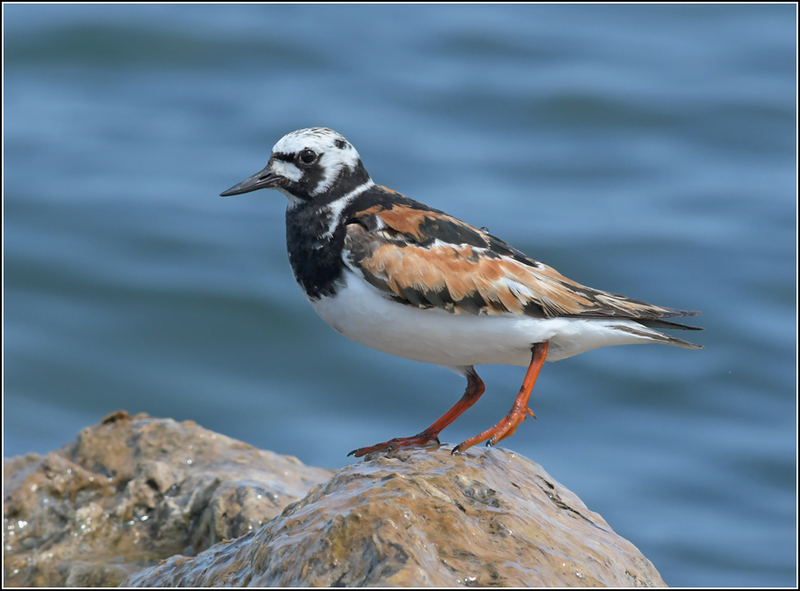 It was certainly the best photoshoot I had ever had with a Ruddy Turnstone and a great opportunity to study the clown-like plumage! That's all for now. Port Weller remains full of possibilities and I'm already looking forward to getting back there, especially as autumn bird migration progresses. You never know what will pop in! The community of Oliphant, located on the southwestern flank of the Bruce Peninsula, is well-known as a rarity magnet. 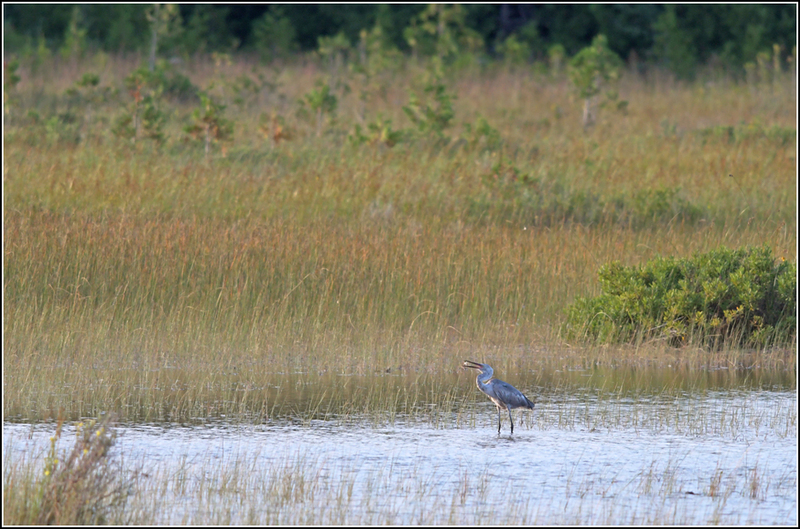 Shallow wetlands located along the Lake Huron shoreline near Oliphant provide extensive habitat for wading birds. Whenever I am in the area I like to pop in to Oliphant to have a scan of the flats and back in 2015 I discovered a Nelson's Sparrow there, at the time a first county record for Bruce, though no doubt they migrate through in small numbers each year. A quick scan of the OBRC data shows a few more notable birds that have been found in Oliphant over the years, including American White Pelican, Piping Plovers, and a White-winged Dove. Prior to yesterday, the biggest rarity to come out of Oliphant also represented one of the more insane birds to ever have shown up in Ontario - the Eurasian Dotterel that Michael Butler found on October 3, 2015. 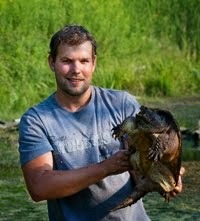 Yesterday, the second provincial first in four years was discovered along the Oliphant waterfront. 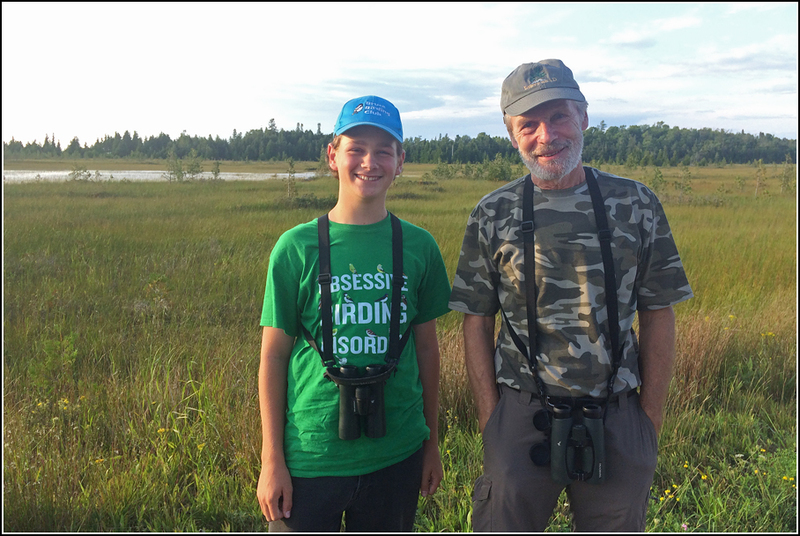 Kiah Jasper and Alfred Raab popped in to have a look at the flats on their way to meeting up with members of the Bruce Birding Club for an outing. 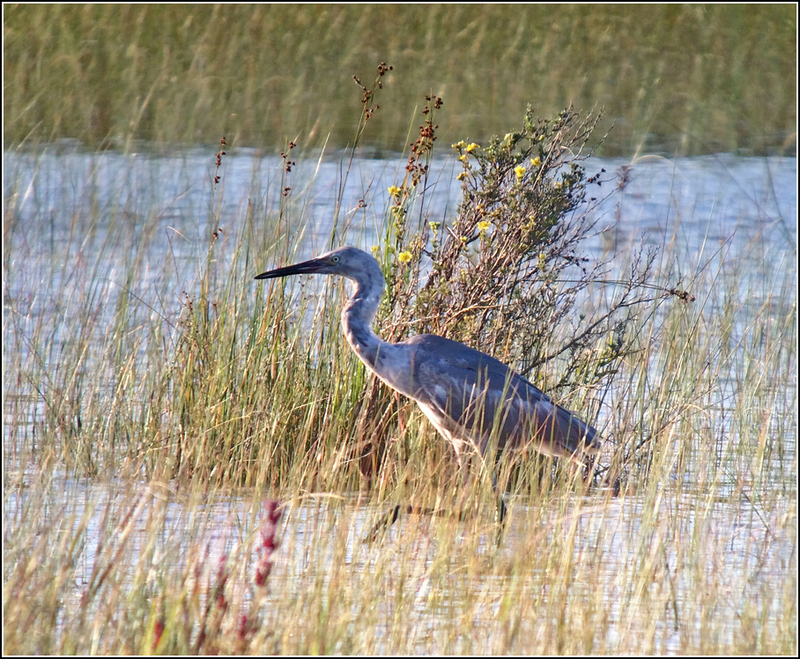 In the dim early morning light they noticed an odd heron feeding on the flats. 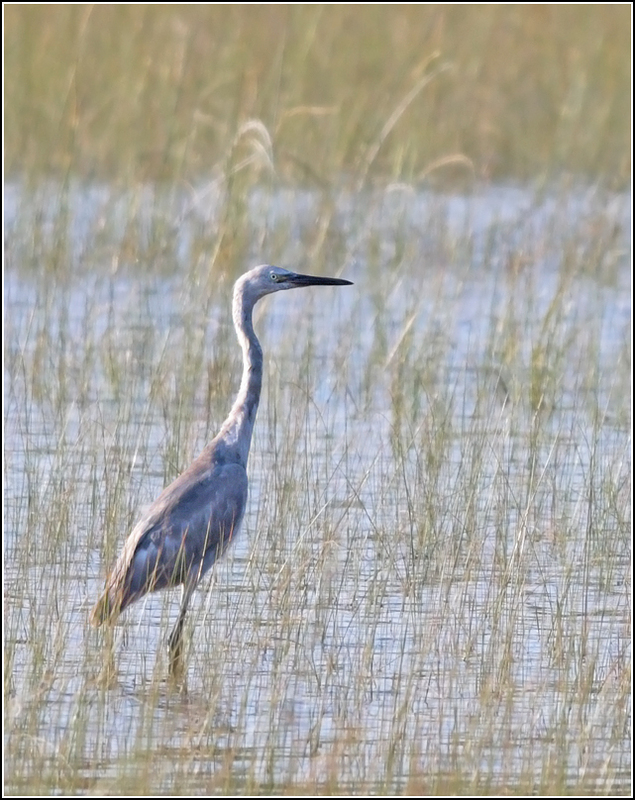 At the time they were unsure of the ID, thinking that it may be a Little Blue Heron but potentially Reddish Egret. 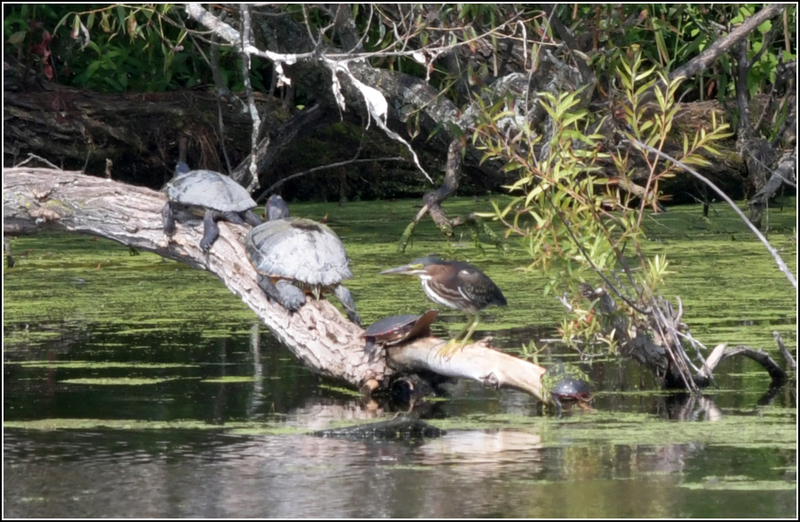 They soon continued on to meet up with their group, putting out a note on a local email group about the odd heron. 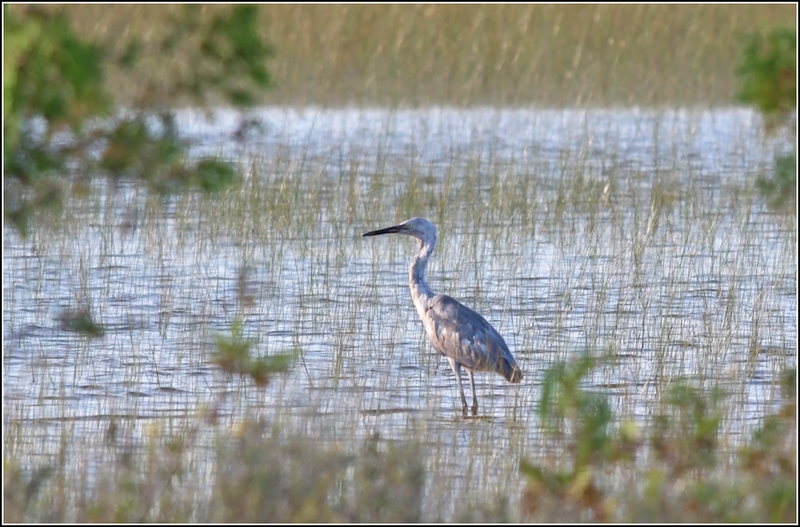 A couple of eBird checklists were produced that morning by Jarmo Jalava, with the bird listed as Little Blue Heron. Sharp-eyed Brandon Holden was scrolling through the eBird sightings and happened upon one of the checklists. 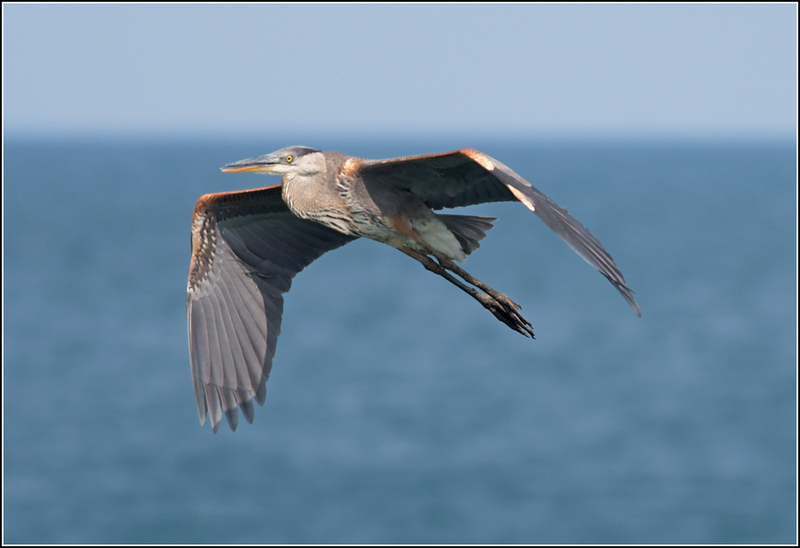 He realized it was a Reddish Egret and soon word began spreading. Reddish Egret had never been seen before in Ontario! All of this was happening while I was stuck at the office in Kitchener for some meetings. Stepping outside the building at 2:30 PM I checked my phone and noticed I had several texts and missed calls. Five minutes later, having viewed the photos, I turned my car north on Highway 85 to begin the long drive up to Oliphant. Ken Burrell and Barb Charlton were also on the scene when I pulled in around 5 PM, though the egret was M.I.A. Other birders began filtering in, including quite a few familiar faces - Keith Burk, Steve Charbonneau, Isabel Apkarian, Cheryl Edgecombe, David Szmyr, Glenn Coady, Rich Poort - and we all either waited patiently, or searched up and down Shore Road to investigate other potentially suitable areas where it could be hiding. Finally, around 6:30 PM, Barb received a phone call. Rich and Cheryl had re-found the bird just north of where we were all standing! 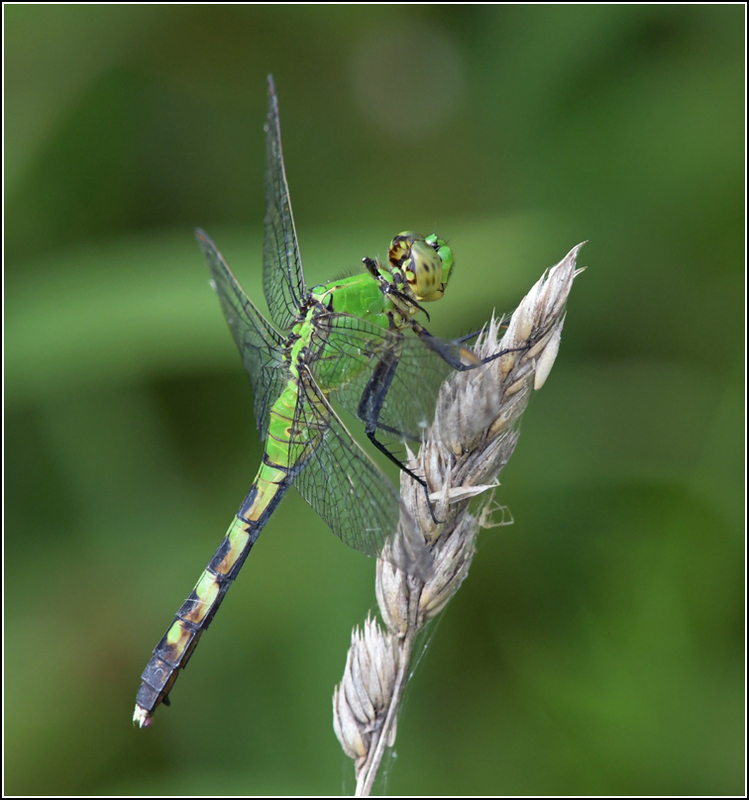 For the next 45 minutes we all enjoyed views of this mega-rarity, hunting in the shallow marshes less than 100 m away. Other birders kept arriving by the minute, and everyone was able to enjoy incredible views of the southern stray. Reddish Egret is a medium-sized wading bird that is found primarily in the Caribbean, but also along the Gulf coast and Pacific coast from Baja California south to Costa Rica. Listed as Near Concern by the IUCN, it is estimated that 15,000 - 30,000 are currently found in the wild. Like many other wading birds, Reddish Egret is well-known for vagrancy and individuals have been reported before up and down both coasts of North America and even occasionally inland. With records from Indiana, Illinois and Ohio, it seemed like only a matter of time until one crossed the border into Ontario. Back in 2011 I published two blog posts about 20 bird species that I predicted would be next added to the Ontario checklist. Looking back on those posts, many of my selections aren't the best, but I did have Reddish Egret listed as #1. (I even picked the correct month!). It certainly was not an original idea however, as for years Ontario birders have been predicting that Reddish Egret would be added to the Ontario checklist. The Reddish Egret hunted small fish in the shallows and was quite successful, swallowing a half dozen fish while I watched. It utilized a technique well-known with the species - chasing down the fish with its wings spread out to reduce glare, and deftly picking the fish out of the water. A much different technique than the typical ambush strategies provided by our local Great Blue Herons and Great Egrets. I caught some of it on video through my scope. This plumage is a tricky one, especially if one is not familiar with the intricacies of Reddish Egret identification. Its overall size is much smaller than a Great Egret but larger than a Snowy Egret or Little Blue Heron, and it has a long, dagger-like dark bill and dark legs. The chalky gray and blue plumage is unique to this species, while its hunting behavior also helps to identify it as a Reddish Egret. Reddish Egrets come in two main colour morphs - white and dark. I haven't researched Reddish Egret molt / ageing yet, but I would imagine this is a dark-morph bird that was born this year (or could it be a second year bird?). It was great to see Kiah and Alfred as well and everyone was happy to provide their congratulations. Below is a photo of them, with the Reddish Egret feeding busy in the marsh behind them (you'll have to take my word on that). At 7:10 PM the Reddish Egret took to the wing and flew north, over some cedars and an Osprey nesting platform and out of sight. It was not seen by subsequent birders arriving so presumably it had gone to roost for the night. However, this morning the Reddish Egret was found in the original area so it appears to be sticking around (for now). Good luck to anyone who goes searching for it. And a big thank you to Kiah and Alfred for an awesome bird! Before dawn we enjoyed coffee and tea in the main lodge while listening to the Guianan Red Howler Monkeys off in the distance. Following that, Delon took Laura and I by dirtbike to a patch of white-sand forest that John, one of the other guides at the lodge, and Delon had discovered several kilometers up the road. 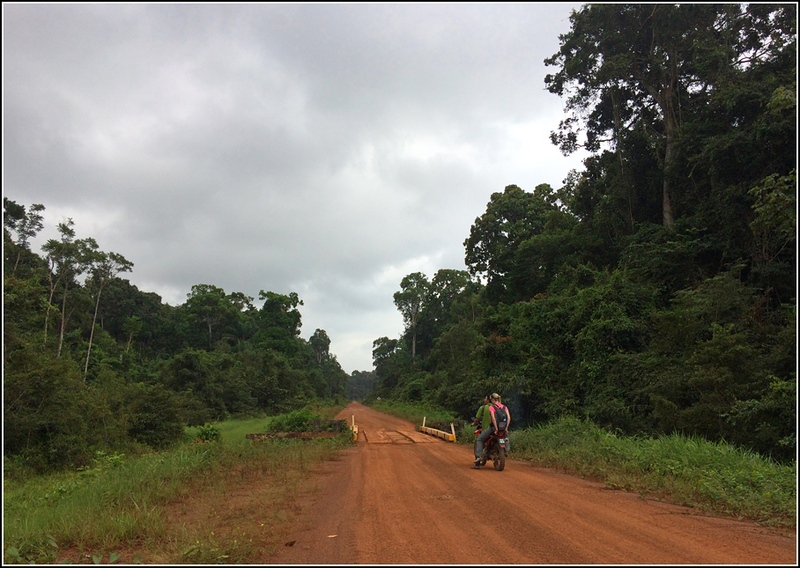 While "typical" rainforests in the area grow on soil that contains a high clay content, several bands of forest growing on quartz-rich, sandy substrates can also be found in the region. 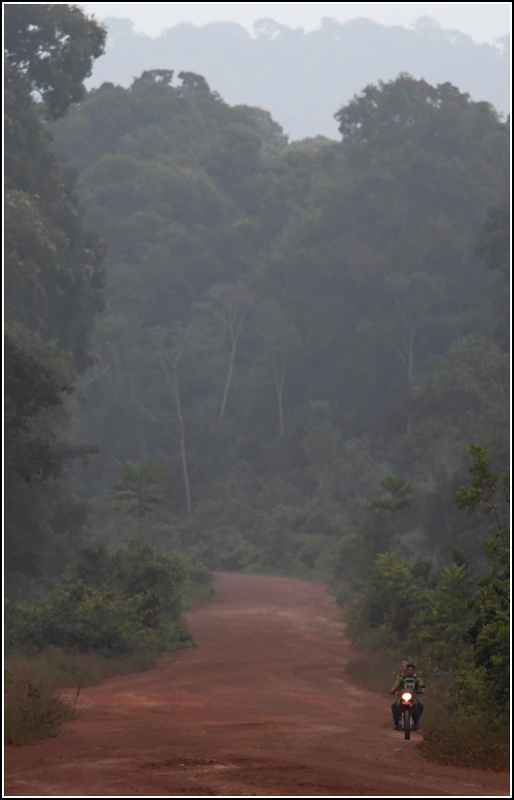 These forests growing in the nutrient-poor environments tend to be stunted when compared to nearby terra firme forests, but they also contain unique assemblages of species, many that are restricted to that environment. 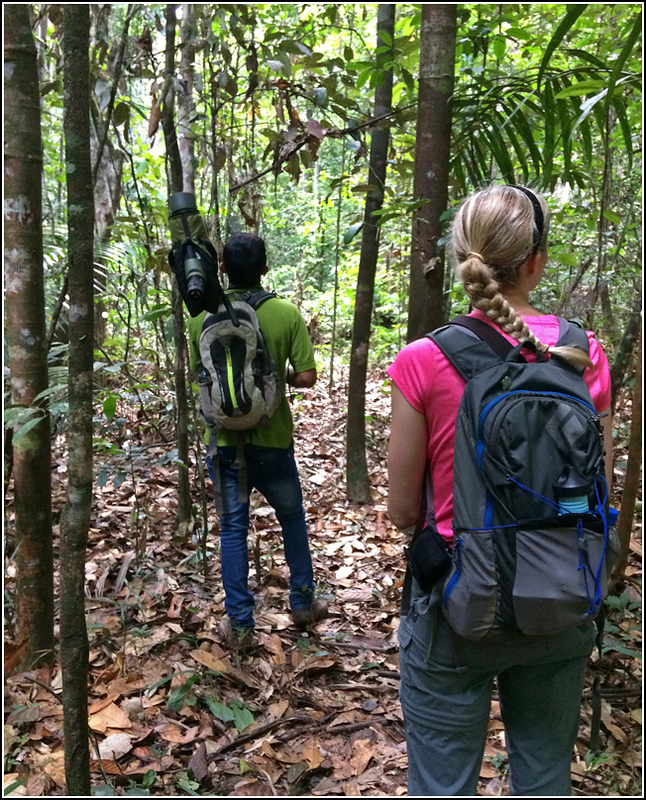 This patch that Delon took us to provided habitat for several unique birds, including Guianan Red-Cotinga, Black Manakin and Bronzy Jacamar, and we hoped to connect with those three this morning. The dirtbike ride was quite enjoyable and the heavy cloud cover combined with a brief shower overnight had cooled the air. Delon dropped me off then returned for Laura. In the few minutes that I was alone I quickly picked up on the vocalizations of some Cayenne Jays and they soon appeared at the roadside. While this Guianan Shield endemic is not necessarily a white-sand specialist, Cayenne Jay does occur regularly in that habitat type. 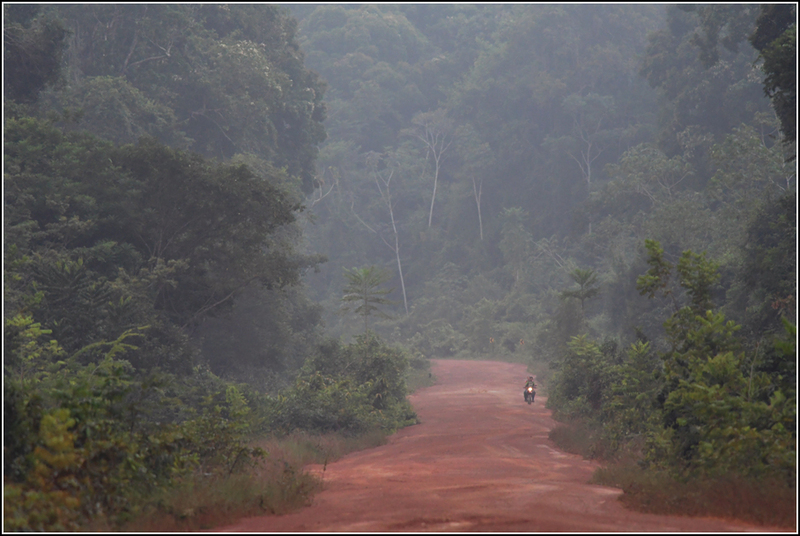 Laura and Delon soon came rumbling down the road, with a backdrop of untold layers of forest providing quite the setting. 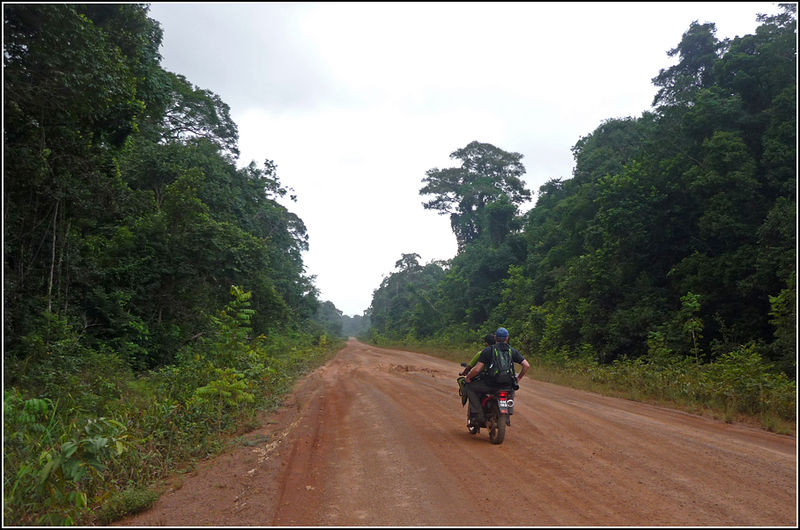 We slowly picked our way through the white-sand forest, our ears attuned to the various birds and insects all around us. Bronzy Jacamar was the first target to fall when we heard one vocalize quite close to the road; unfortunately, it remained out of sight. 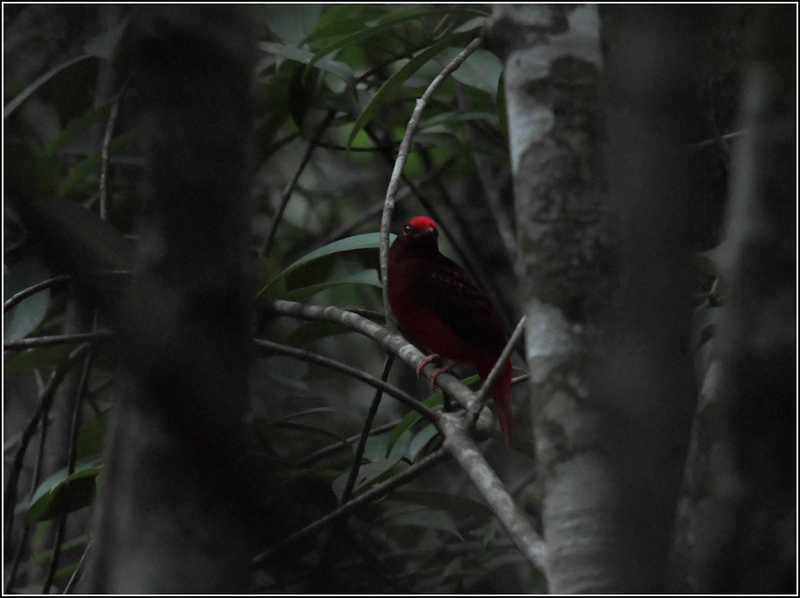 Guianan Red-Cotinga was next, though it took some time to really have a good look at this range-restricted cotinga, an iconic species for the region. The light levels were low in the understorey so I had to really push the ISO on these photos. We watched up to six individuals in the hour we were in the forest, an experience I will not likely forget soon. Black Manakins also appeared, including several males displaying for unseen females. The more widespread Golden-headed Manakins were a little bit easier to stay on as they were less furtive than the Black Manakins. We lucked out by running into a little group of Gray-winged Trumpeters patrolling the forest floor for fruits or insects. Gray-winged Trumpeter is an interesting, chicken-like species found in northern Amazonia that is one of few species of birds that practice cooperative polyandry. Female birds will have multiple male partners, and each male will cooperatively assist with raising the young. 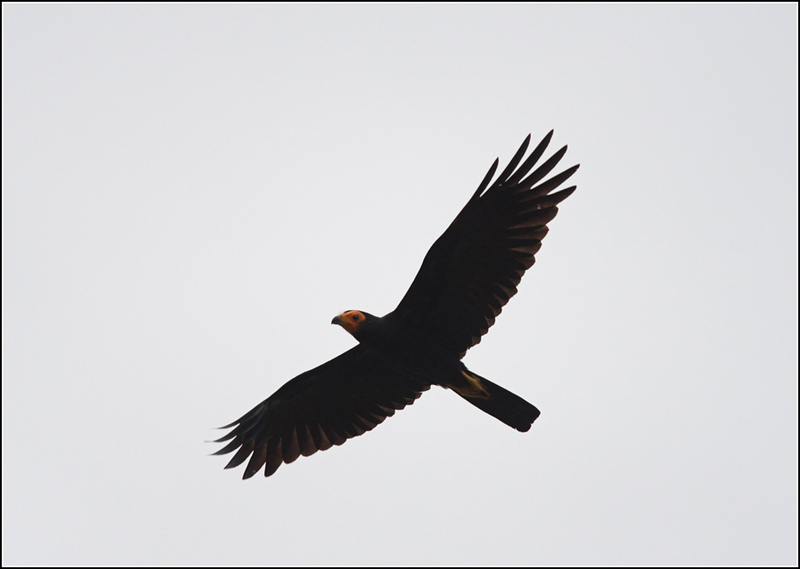 Soon it was time to leave, but one last new bird flew overhead - a Black Caracara. 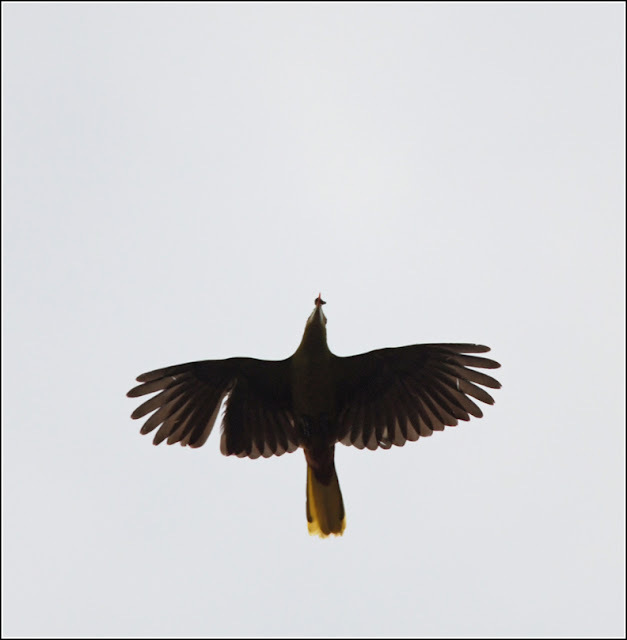 While finishing up breakfast, Delon called me over - he had his scope set up, pointing at "the cotinga tree". This time he had a Tiny Hawk teed up! 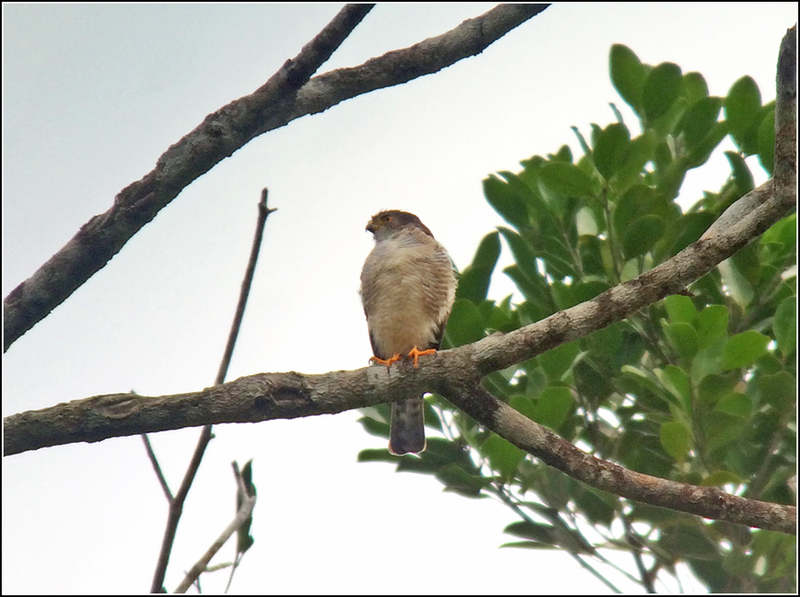 While widespread in Central and South America, Tiny Hawk is one of the least well known members of its genus (Accipiter) and is uncommonly encountered. Many aspects of its biology remain unknown. I watched the hawk for around five minutes as it perched in the tree, until it took flight and silently slipped into the forest. Tiny Hawks are adapted to hunting birds and have been known to prey specifically on hummingbirds. Following breakfast we took care of a few housekeeping items (putting the laundry in the sun, purchasing an hour of internet) then headed out with Delon and Kendrick for a late morning search for an Amazonian Pygmy-Owl that was reliably found in a certain location. Along the way we paused frequently - to scan nice looking locations for Fer-de-Lances, investigate every little rustle in the undergrowth, and pick up on whatever bird species were nearby. Soon the path began to climb around the side of a large hill and twenty minutes later we were in position. A little bit of playback was all that was needed to instigate a response from the owl, but that was only half the battle. He did not want to come in any closer so Delon and Kendrick set off on foot, while Laura and I stayed back to occasionally play the tape. Delon and Kendrick returned empty-handed but the owl began calling again. It was right above our heads! We struggled in vain to find the little fluff ball nestled somewhere above us but finally Delon found him! We savored the views of the owl and watched him sing for a while, fully enjoying the moment. While it may seem like "cheating" to have a guide bring you to a stakeout spot and calling in the bird, I have to say in the moment it was pretty awesome. 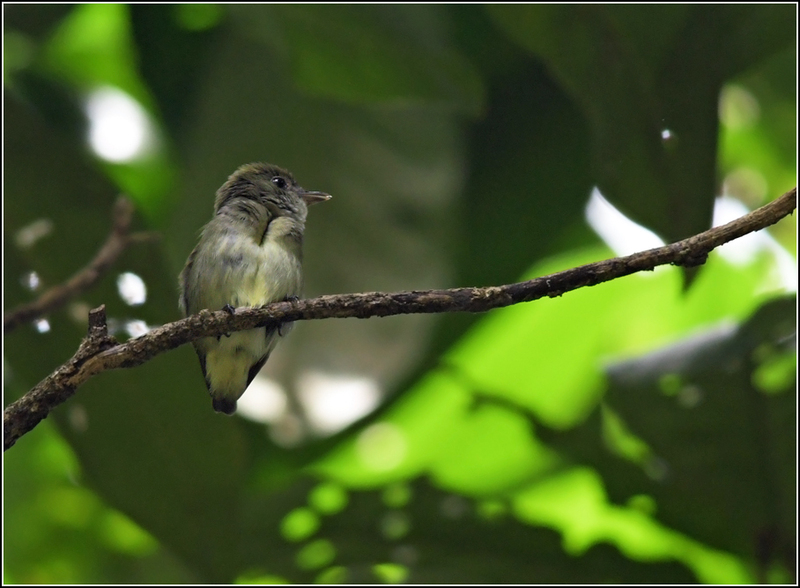 Tiny Tyrant-Manakins frequently vocalized, even during the middle of the day. After some searching we were finally able to spot one low enough to train the scope on it. 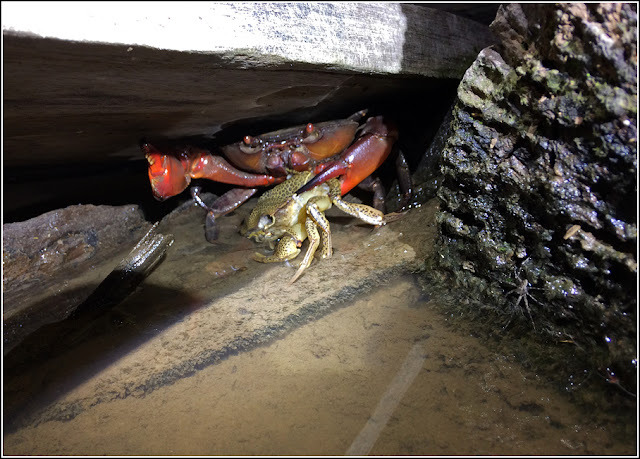 Yet another range-restricted species that we connected with! We returned to the lodge as it was approaching lunch time, then relaxed for a few hours during the middle part of the day. I set up my scope for the mid-afternoon cotinga watch in the clearing around the lodge and soon Delon and John joined me as well. 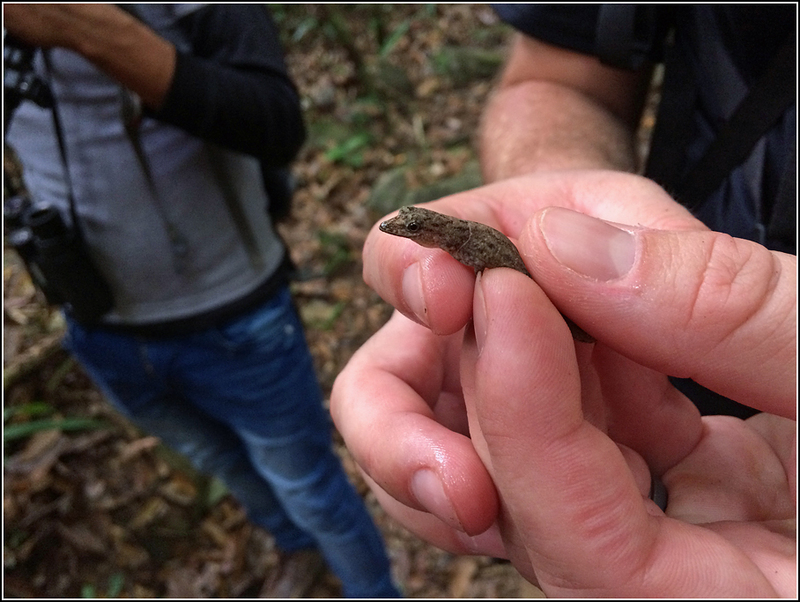 While the cotina tree remained barren for the hour that we searched we did pick up a few new species in a mixed flock that passed through - Guianan Tyrannulet, Pygmy Antwren and Yellow-crowned Elaenia. 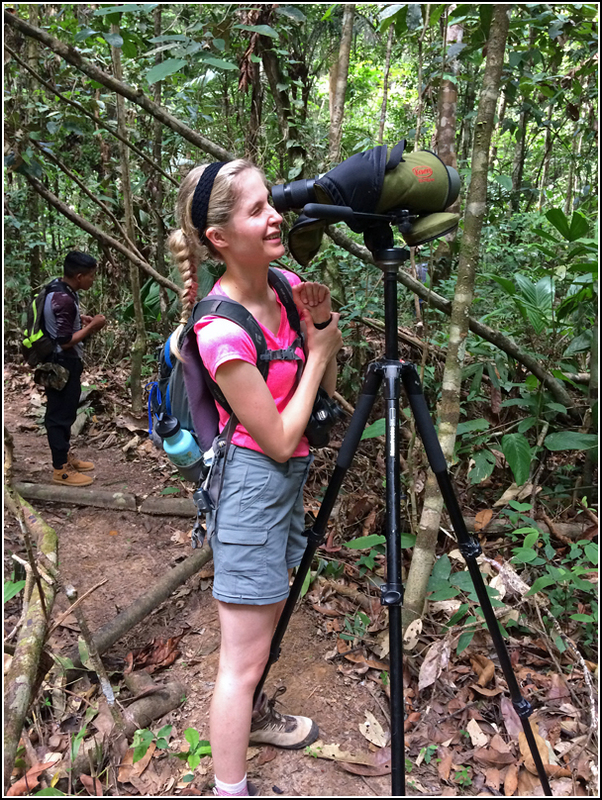 Once again I was relieved with my decision to bring my scope to Guyana, as none of those birds would have been identifiable without it. The canopy is just so impressively tall. Around 4:00 PM we met up with Delon for our afternoon hike. 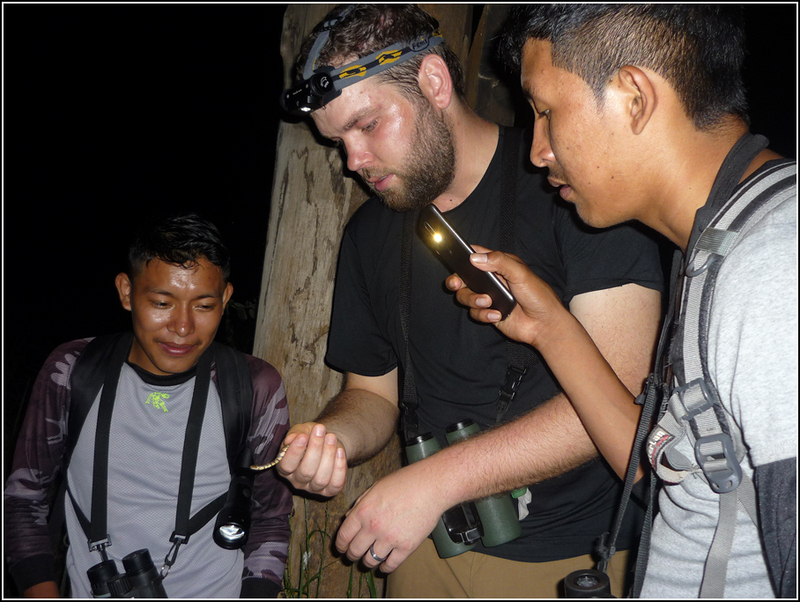 Over the previous days we had expressed our interest in reptiles and amphibians and frequently inquired about the possibility of going out at night - the best of time the day to search for herps in the Neotropics. Delon had never done that before, since nearly everyone who visits Atta Lodge is primarily interested in birds. 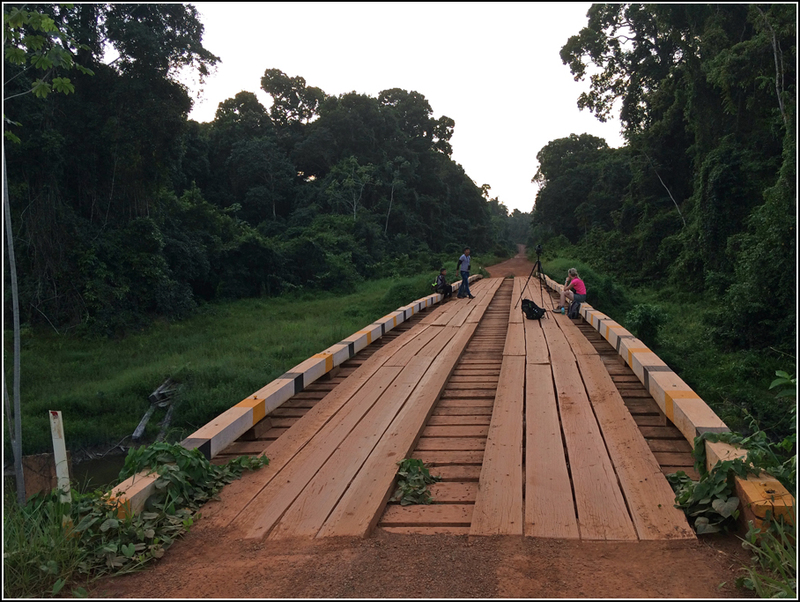 The creek we had passed the previous evening showed promise, especially since it was currently the dry season. Delon knew of a small trail that had been cut along part of the creek so we planned to investigate after dark. Until sunset we would explore the highway for birds and other wildlife. 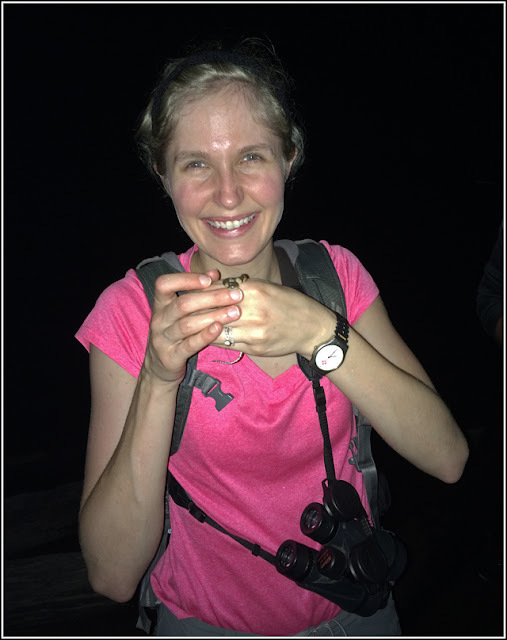 Kendrick also came along for the adventure, his first time looking for herps at night along the creek. We set off on a trail, heading towards the highway. 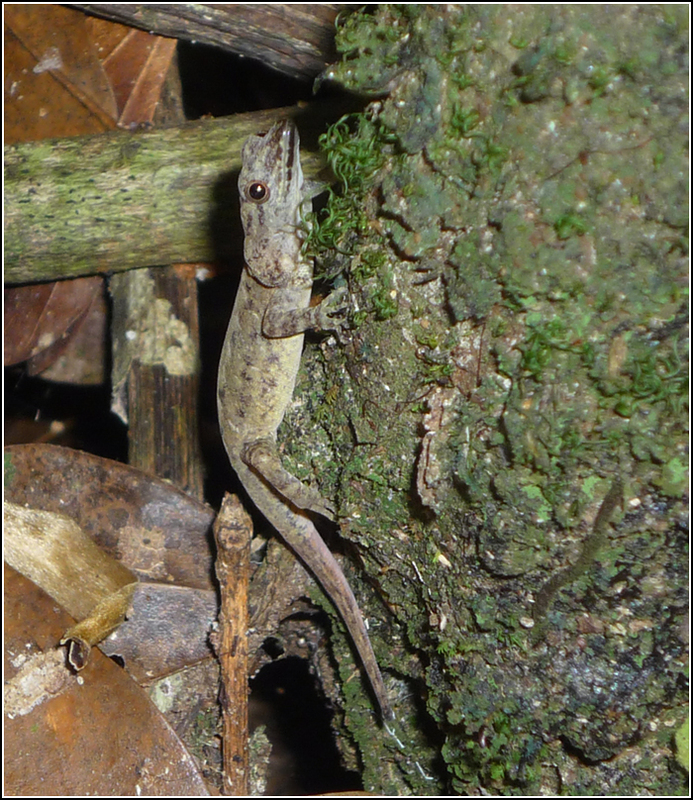 Along the way I spotted this Bridled Forest Gecko (Gonatodes humeralis) on a trailside stump. 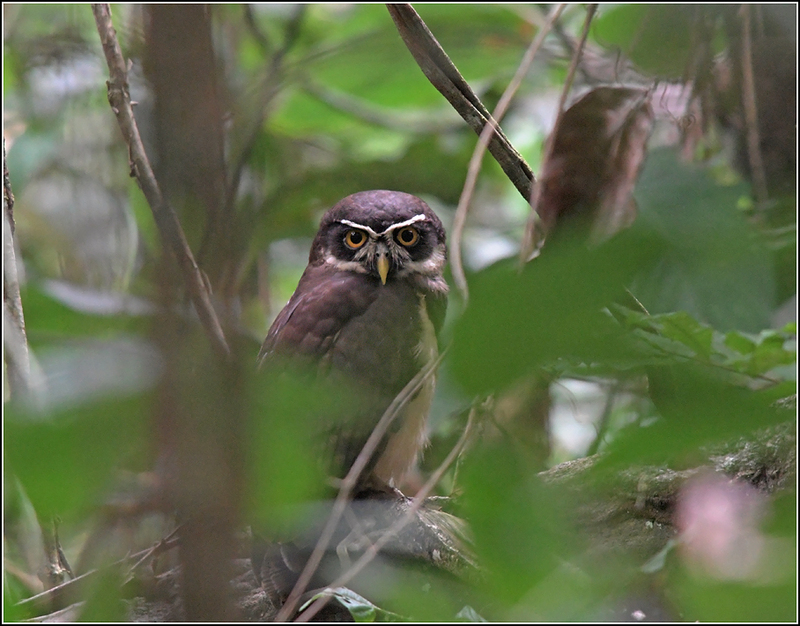 We also flushed a Spectacled Owl that happened to be roosting quite close to the footpath. Delon managed to spot it sitting quite far back in the forest. Awesome! 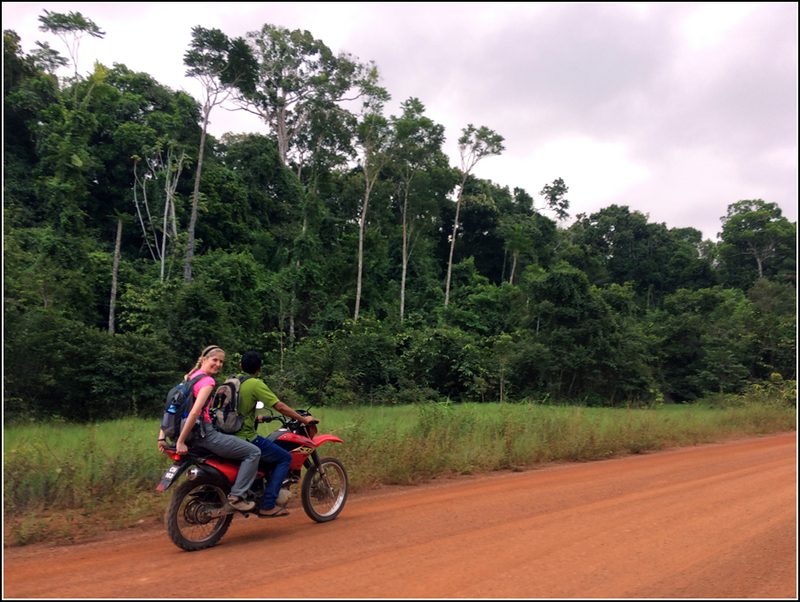 Along the highway we enjoyed seeing both pairs of Scarlet Macaws on their nests, a Greater Yellow-headed Vulture, and many of the same birds from the previous afternoon. A nice surprise was finding a pair of Rose-breasted Chats, especially since we had dipped on them earlier in the day. Several Green Oropendolas were heard calling from the forest canopy and one flew over our heads, carrying a food item of some sort. 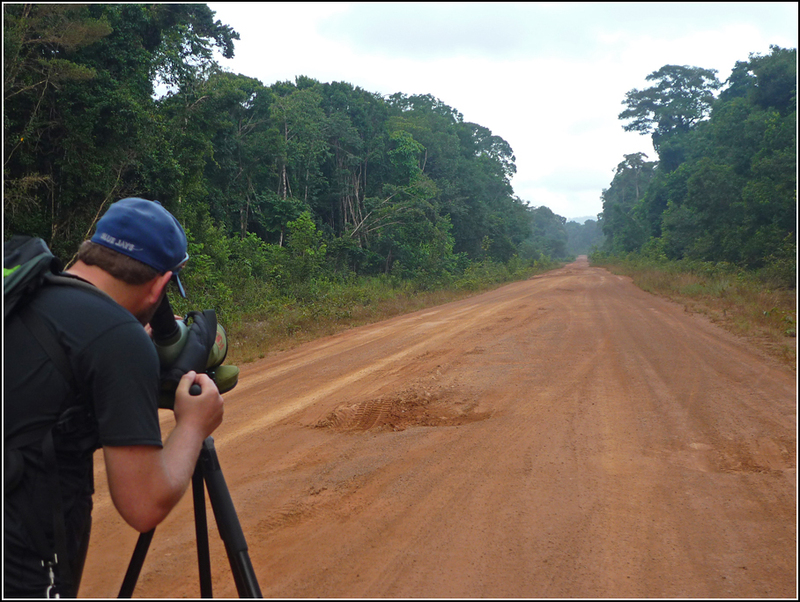 We found a pair of Guianan Toucanets along the road as well, providing our first good looks at this diminutive species. We set up at the bridge twenty minutes before dusk. We hoped that the Crimson Topaz would return to its favorite perch along the creek like it had the previous evening, but we had no luck this time around. Several Proboscis Bats were roosting on an overhanging branch and a couple of Spectacled Caimans lurked in the murky water. 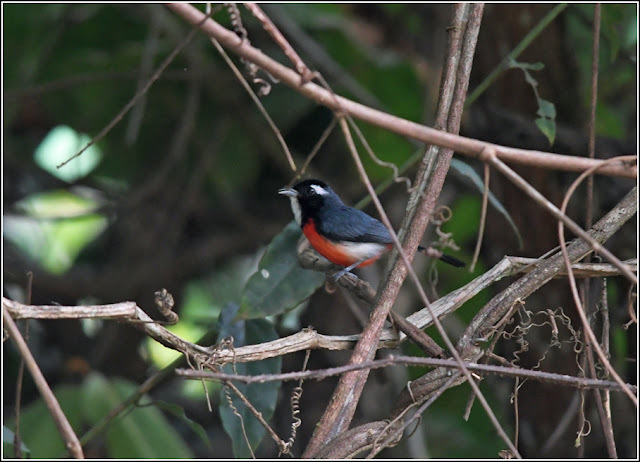 A Coroya Wren sang, while two Whie-browed Antbirds skulked in the roadside vegetation. Once darkness settled in the real fun began. Several crabs were quickly found by the water's edge, including this macabre scene. 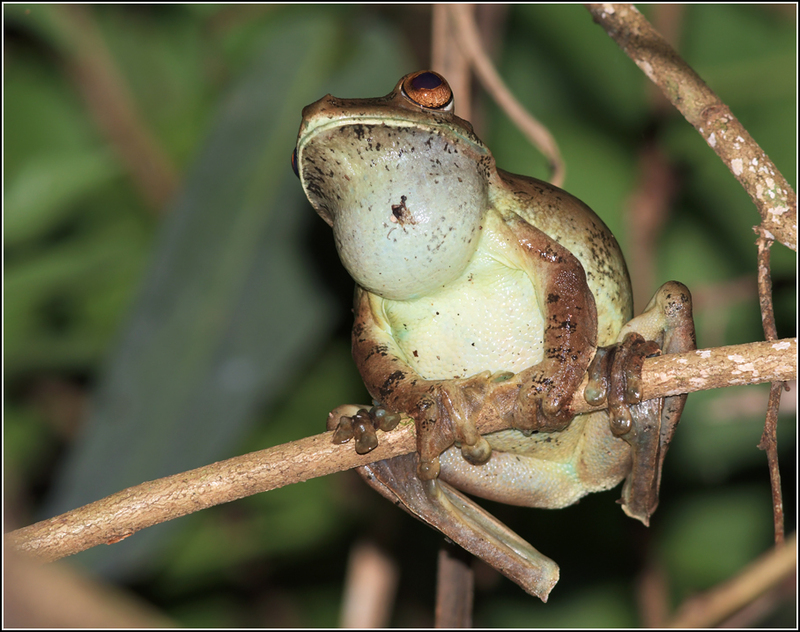 The repetetive, deep croaking of various frogs drew our attention. We tracked down several Rusty Treefrogs (Boana boans), while the eyeshine of several others were illuminated on the other side of the watercourse with our flashlight beams. Any thoughts of crossing the creek were quickly stopped when one noticed all the eyeshine from the Spectacled Caimans. Laura made the find of the walk after we had been searching for nearly an hour. 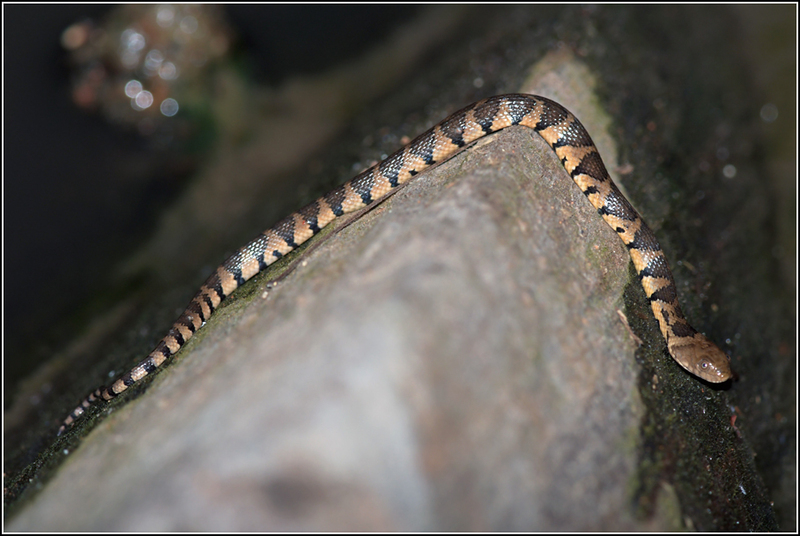 A baby South American Watersnake, drapped over a piece of concrete that was resting in the water under the bridge! Her sharp eyes had come in handy once again! We strategized how to catch the snake for a better look and were successful. I don't think Laura's smile could be any bigger in this photo. Delon and Kendrick were pretty interested in the snake as well and I showed them how to tell it was a female. I even got them to hold the snake!